We just got back from visiting our daughter and her family in San Diego. No we weren’t able to go on the Wing. We needed to take the truck (literally) to haul everything we were taking. While in San Diego we returned to Disneyland for our second time. Last year was the first. Our son-in-law Jeff is a Disneyland and an amusement park fanatic and is always up for Disneyland. Last year we went to the original park of Disneyland. 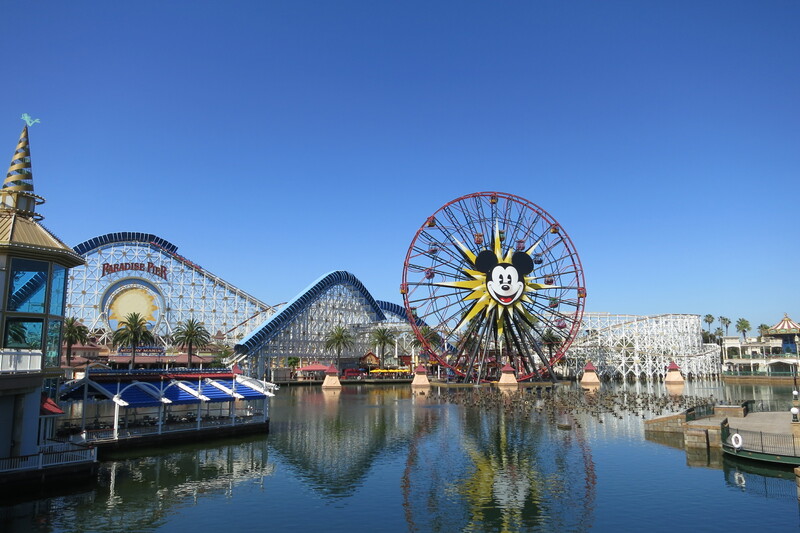 This year we went to the newer “California Adventure” park. The newest attraction Cars Land had just opened and everyone in the park was eager to see and ride all the rides in “Cars Land”. It was a long fun day. This group of Mousekeeters included Grandma (Janet) and Papa (me), Kristy (daughter), Jeff (son-in-law), Tabitha (5-year-old granddaughter), Charlotte (3-year-old granddaughter) and Henry (6 month old grandson). We stayed practically the day in the park. 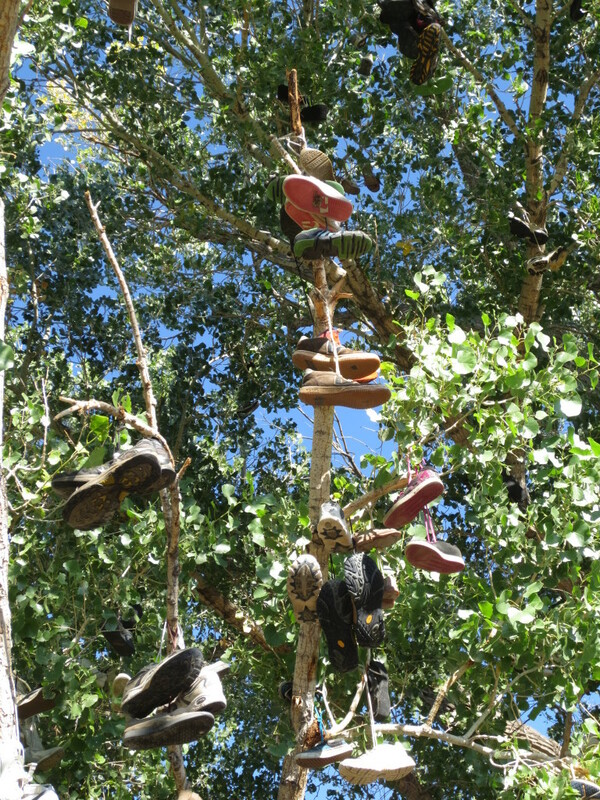 My only complaint was sore feet… Lots of walking. This Is The Key To Enjoying Disneyland. Insert your Disneyland admission ticket, readmission ticket or Annual Passport into the FASTPASS machine. Enjoy the rest of the Disneyland. We were there when the gates opened. 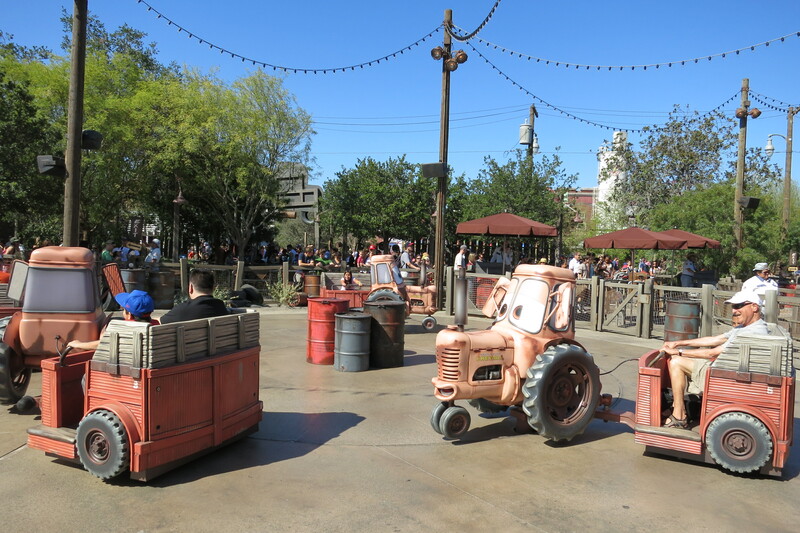 Jeff rushed to get in line for “FASTPASS ” for the “Radiator Springs Racers“ ride. 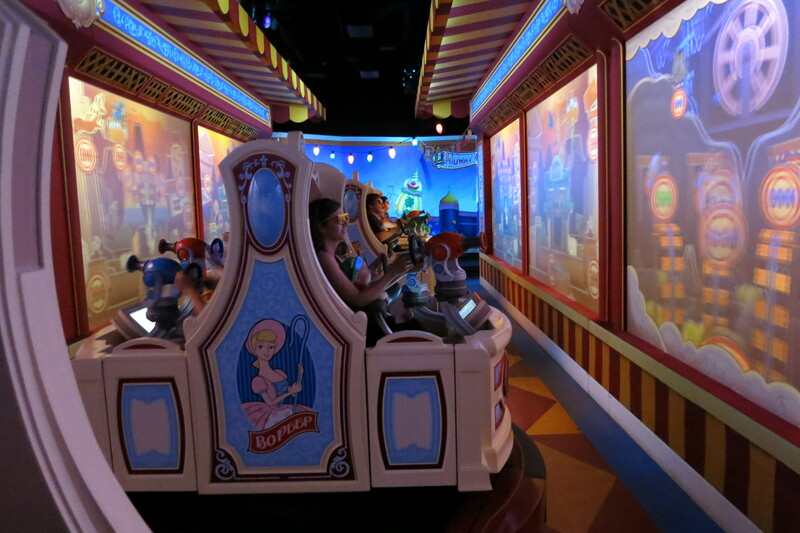 We couldn’t believe how long the “FASTPASS ” line was for that ride. The line did move rather quickly though. 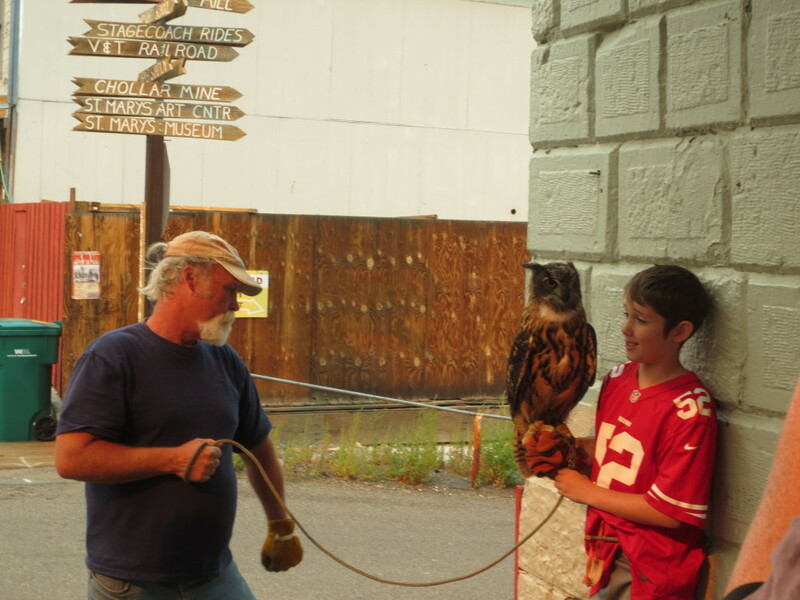 The earliest, Jeff was able to get the “FASTPASS ” for was 7:00 PM. 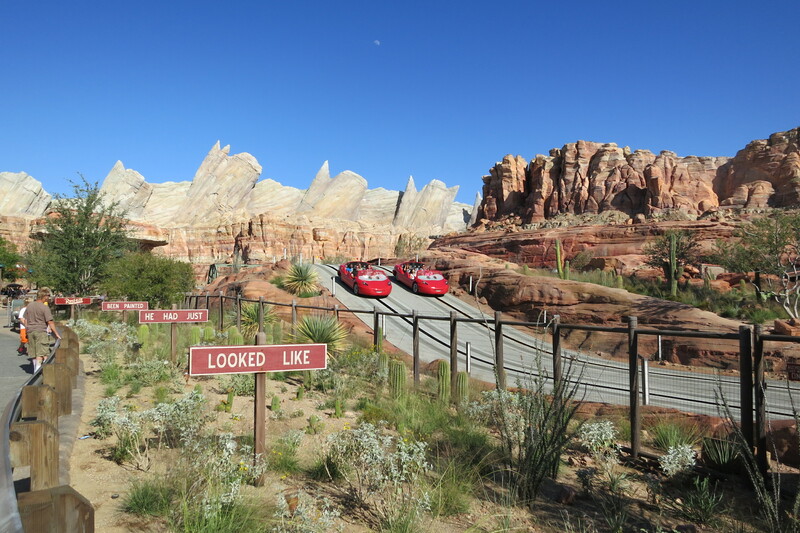 Judging from what we saw, all the “FASTPASSES” for “Radiator Springs Racers” were probably all gone within an hour or less. Everyone in the park wanted to ride this newest and best of the rides. 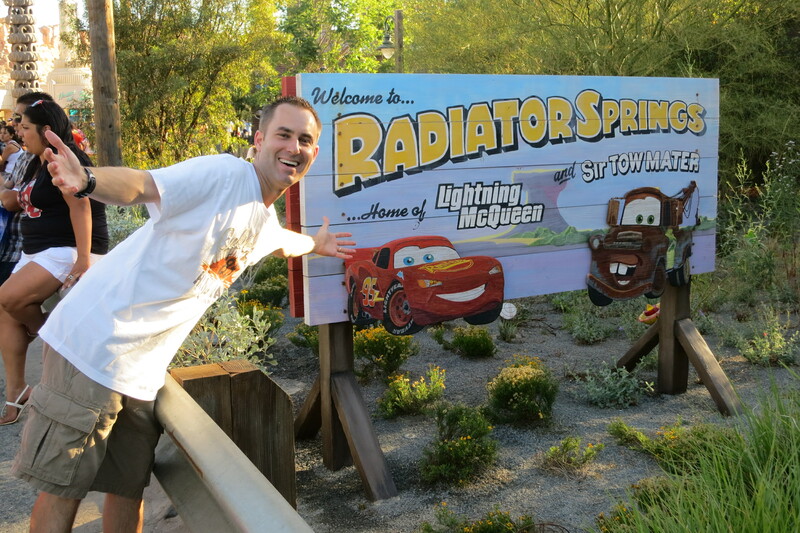  Radiator Springs Racers This ride is my all time favorite… anywhere anytime. I can’t do justice in describing this ride. The attention to detail in keeping with the theme of the movies is perfect. Besides I don’t want to ruin the ride before you do get to ride it. It will be a pleasant surprise. 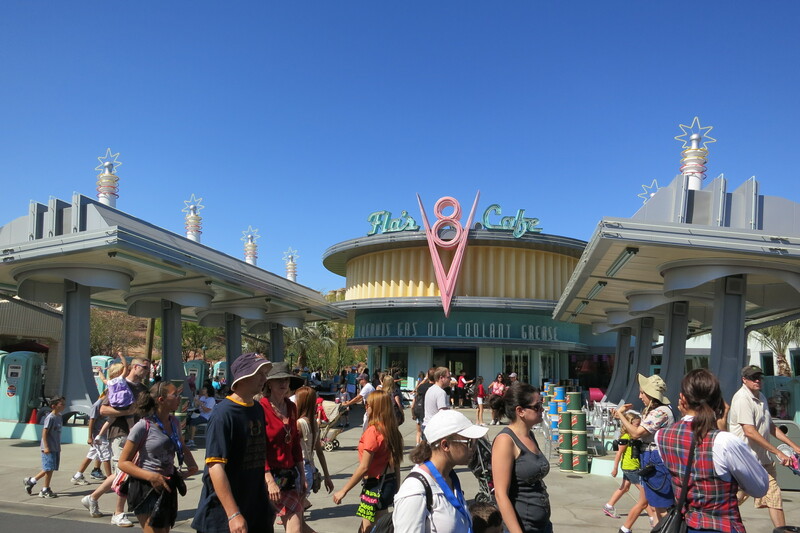 The park was busy today for a Thursday because the new “Cars Land” was open and a big draw. 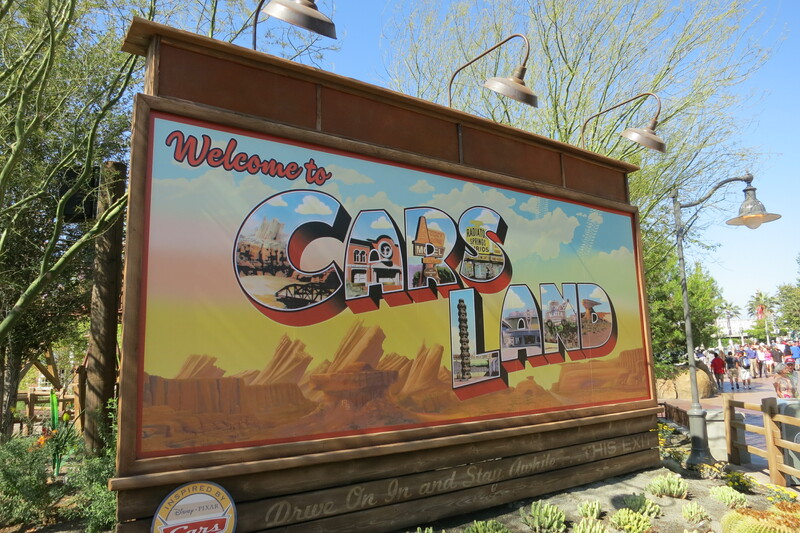 If you are planning a trip to Disneyland to see “Cars Land” you may want to wait until the crowds have subsided a bit… but it wasn’t that much of an issue for us… because we had Jeff as our guide. 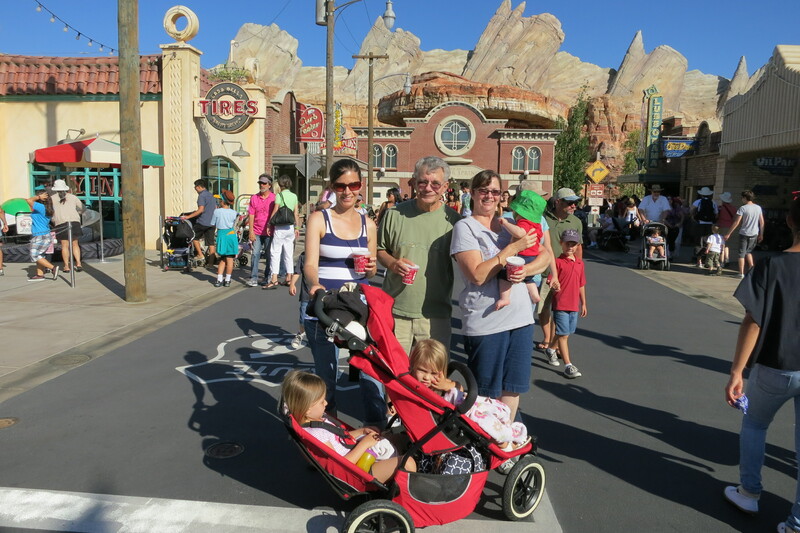 Jeff knows all the ins, outs and tricks of getting around Disneyland efficiently. So if you have a Jeff in your family you have it all covered. We drove up to Denton, Texas. We were taking Janet’s sister Bobbie out to see her son and family in Charleston, South Carolina. 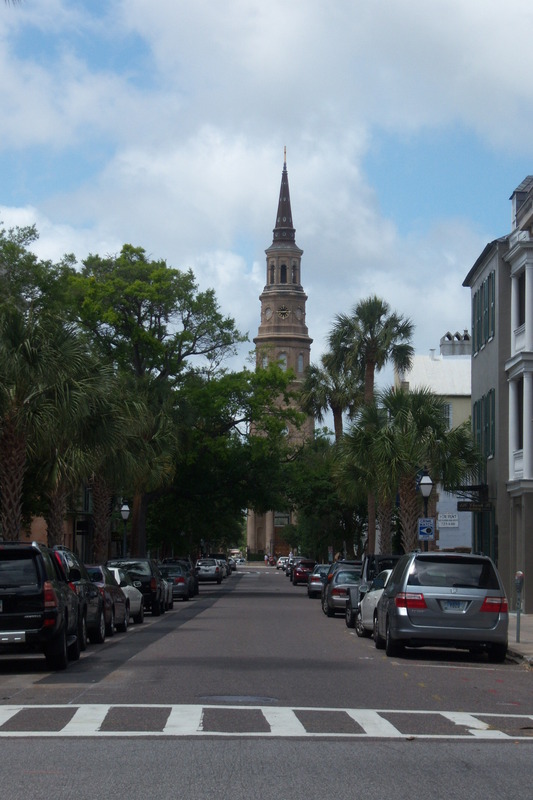 Her son has lived in Charleston for six years but Bobbie and Jimmy (Bobbie’s husband) haven’t been able to travel there for various reasons. Jimmy was supposed to go with us on this trip but the doctor suggested that he not go so it was just Bobbie going. 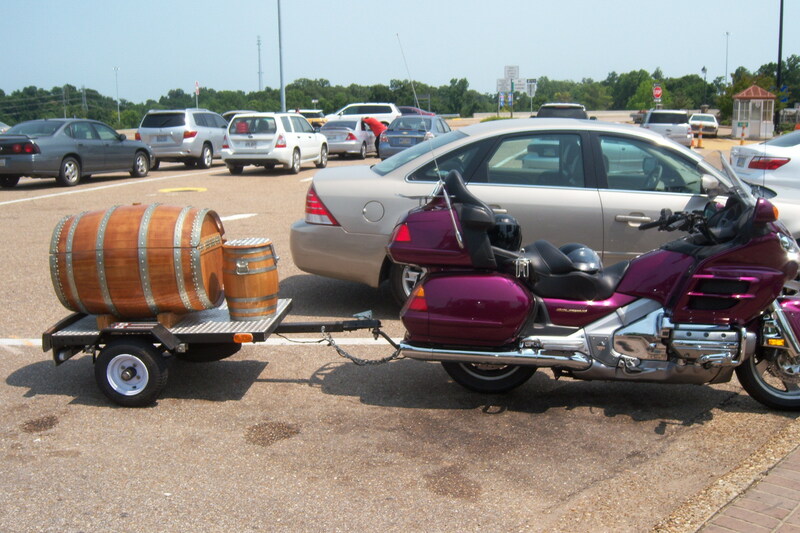 Needless to say we weren’t traveling by motorcycle. 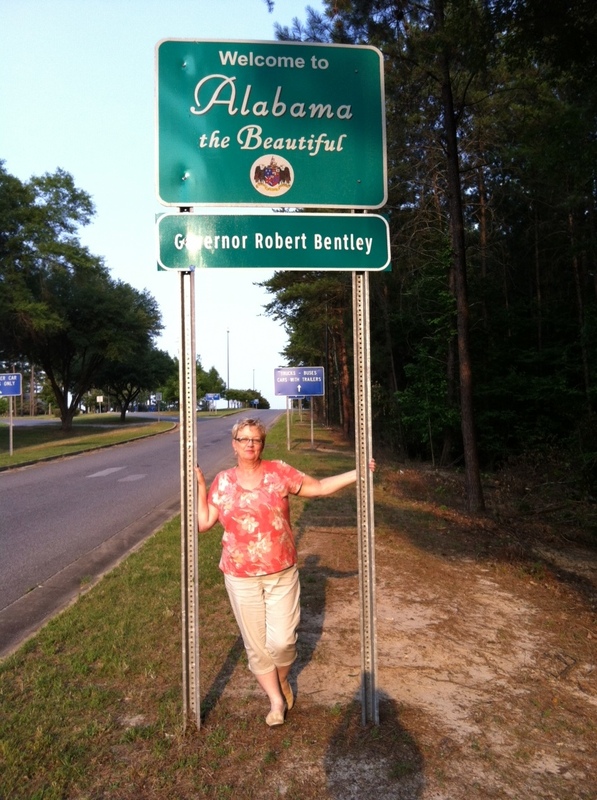 We were up early and on the road by 7:00 Am and drove 689 miles to Leeds, Alabama where we spent the night. 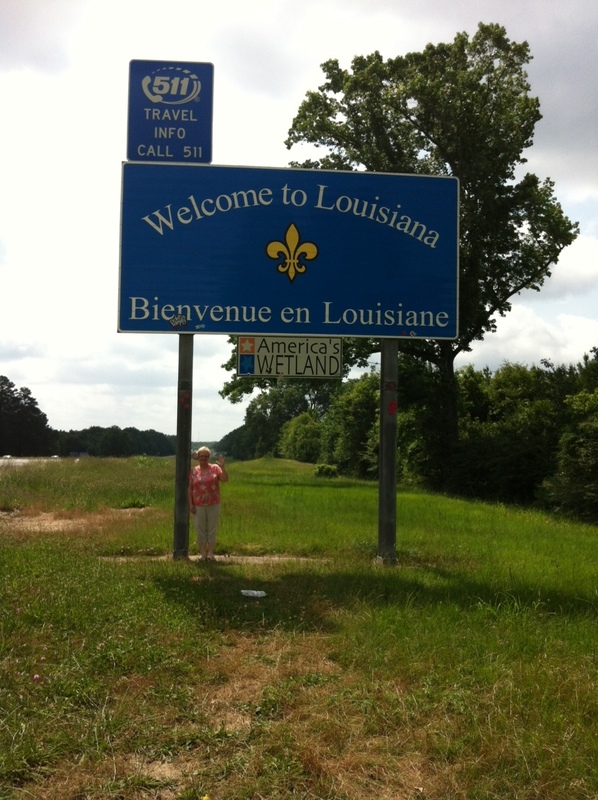 The only stops we made were for gas, food, bathroom breaks and to take a picture of Bobbie at each state line signs that she sent to all her doubting friends as we made our way eastward. Would you believe they were from Arkansas? We were on the road again headed to Social Circle, Georgia for lunch at the Blue Willow Inn Restaurant some 174 miles down Interstate 20. 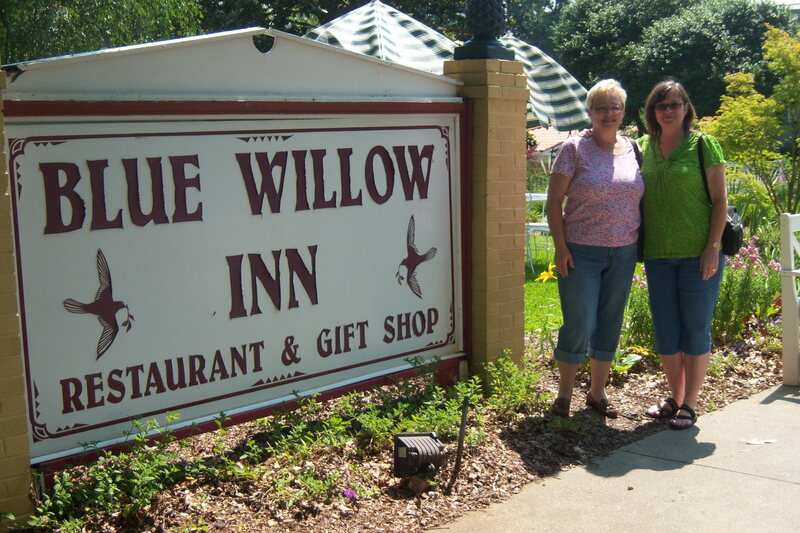 We had eaten at the Blue Willow Inn several years back on our way back from Charleston. The food is great southern style cooking and we (I) always manage to over eat. 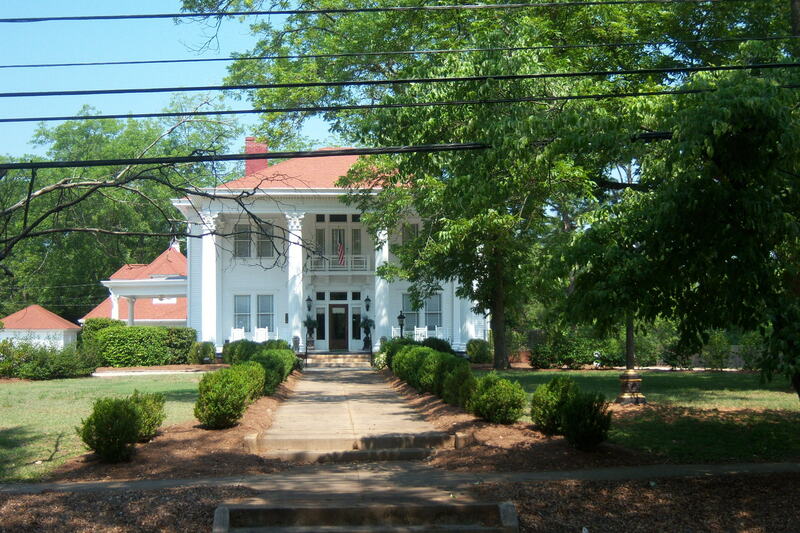 The restaurant is located in an old southern plantation style home with beautiful grounds and garden. I probably can’t do justice describing the Blue Willow so it is probably best to checkout their website. We arrived early and since Janet had made reservations for later we walked down to see some of the many shops in the old part of town. By the time we walked back we had gotten a goodly amount of exercise for the day which we needed since being in the car so much. From the Blue Willow it was on to Charleston some 255 more miles for a total of 429 mile for the day. Needless to say we were glad to finally get there and most of all to see Keith and his family (Kelly, Hailey and Jared). 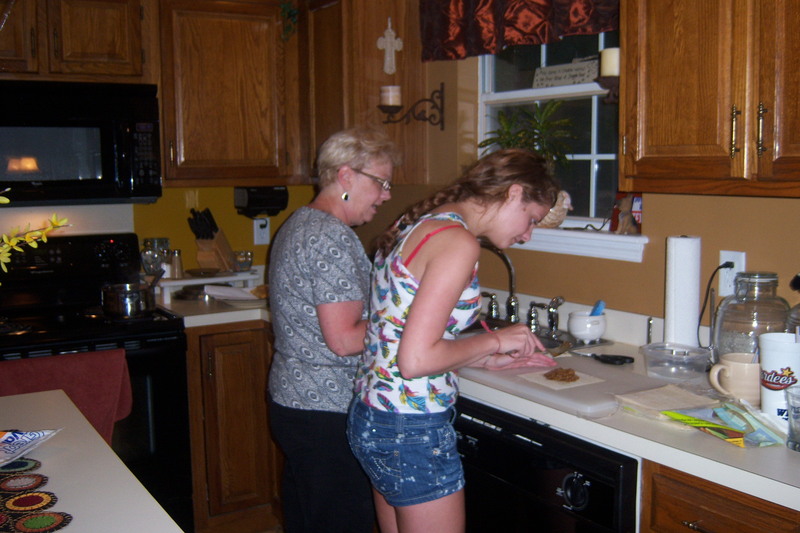 It was fun to see Bobbie enjoying her family, especially her grandchildren. Keith picked Erin (his sister, Bobbie’s daughter) up from the airport this morning. Erin flew in from Nashville. 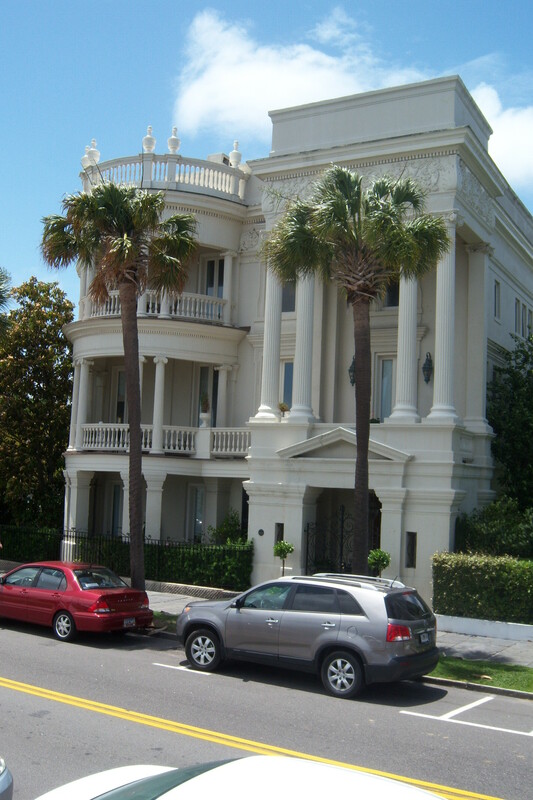 After getting Erin unloaded and settled in we (Bobbie, Erin, Hailey, Janet and myself ) drove down to the Charleston historic district. Today was partly cloudy with a nice breeze. After finding a parking garage we headed out to explore as much as our feet could tolerate. Because of the clouds and breeze we held up pretty well. Since we arrived about lunch time we sought out a good place to eat. We chose the “Southern Brewery and Smokehouse”. Luck of the draw. The food was great and our waiter was excellent. 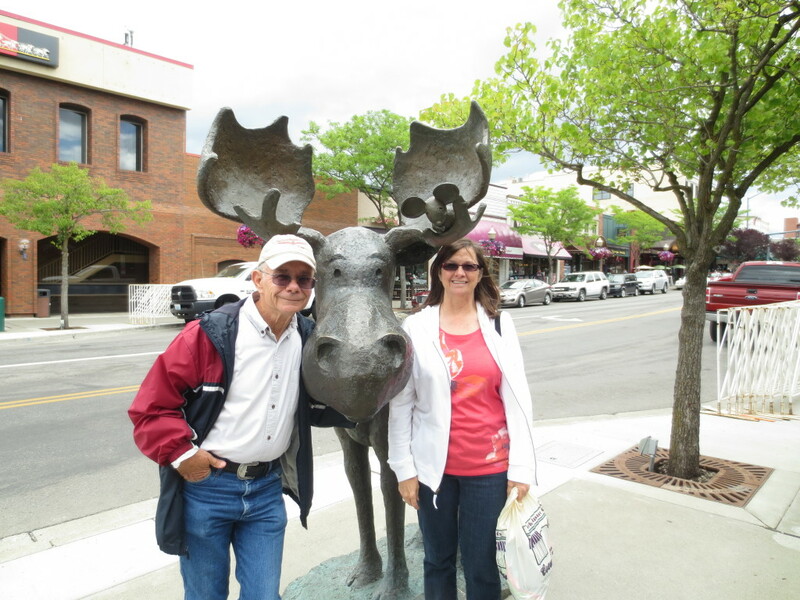 Rested and with our bellies full we were ready to tackle the historic district. Hailey and Erin’s hobby is photography so there was a lot of subject matter for them today. You could spend days just looking at all the historic homes with their perfectly manicured little gardens tucked away in between the homes. While there we toured the Edmonston/Alston House which was built in 1825. 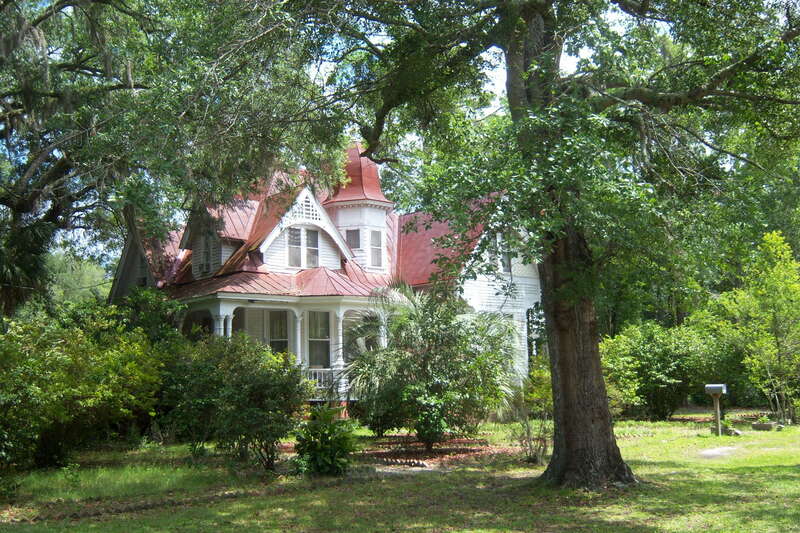 Janet and I love old historic homes and the stories about them and the families who owned them. This one is no exception. With views of Ft. Sumter they had a ringside seat of the beginning of the Civil War on April 12, 1861. 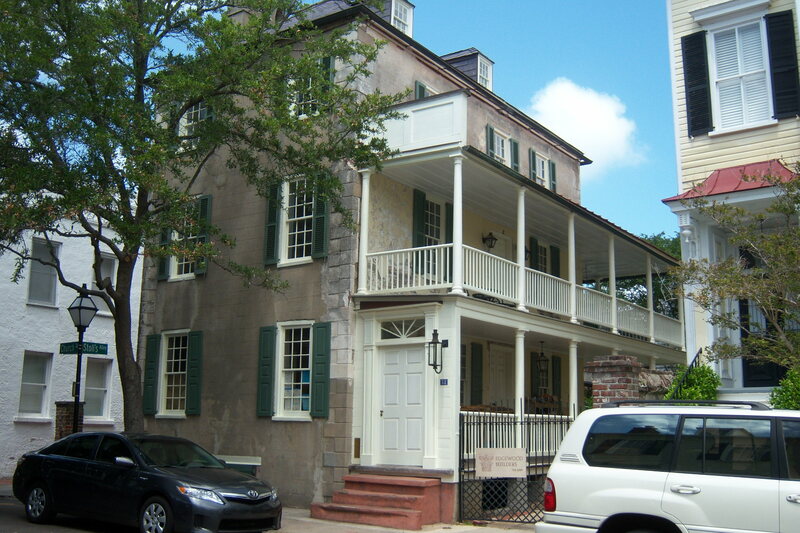 General Robert E. Lee stayed there at one time during the war. We eventually made our way up to the City Market. Time and energy was running out so we called it a day. 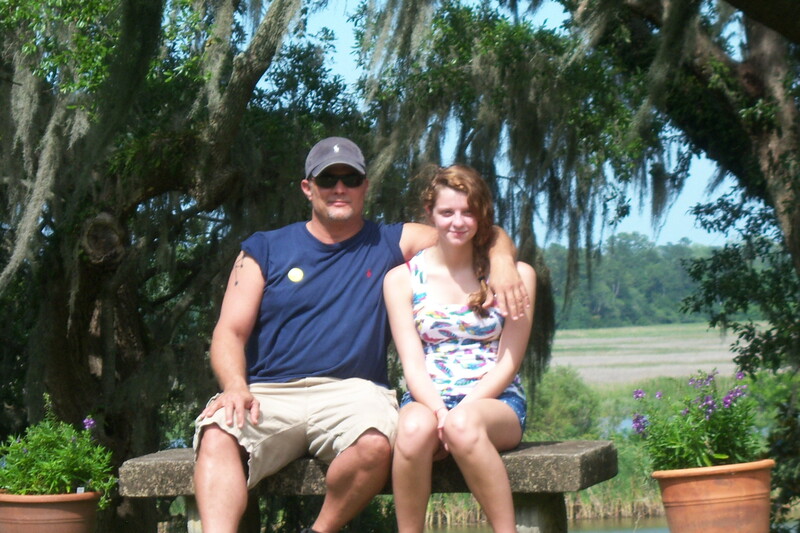 To actually see Charleston you need several days but we just had today and made the best of what we had. 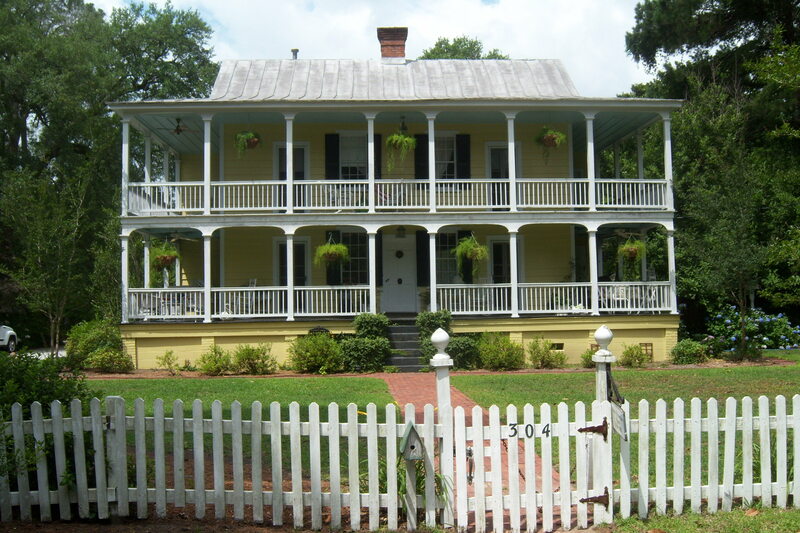 Kelly suggested we travel just up the road to Summerville to do the walking tour of the historic homes. We (Bobbie, Erin, Hailey, Janet and myself ) headed out to Summerville. 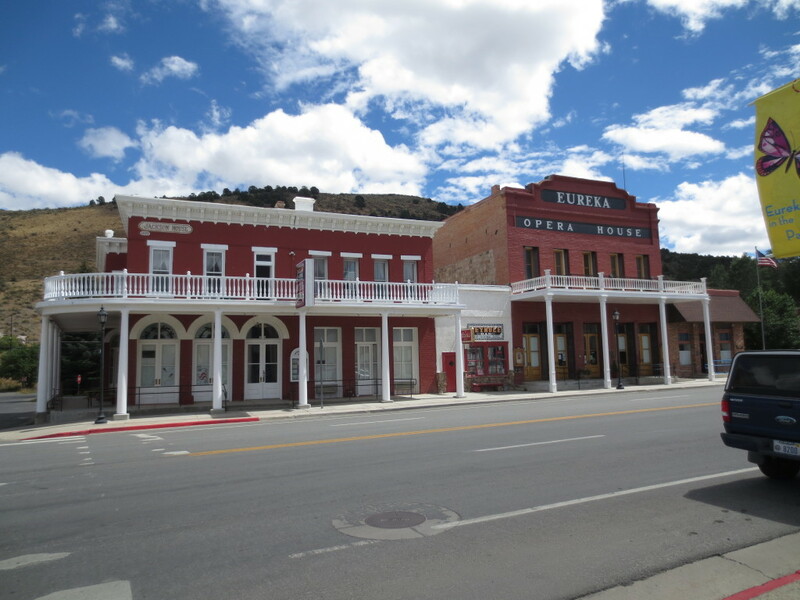 We drove around a bit and determined that nearly all the shops in the old part of town were closed for “Memorial Day“. We stopped by the visitors center and just as we got out of the car it started to pour down rain. We got in to the center just in time. The rain lasted just a short time so we opted to actually do the walking tour instead of driving it. Here again there were a lot of photo opts for Erin and Hailey. There were 40 homes on the tour, all of them interesting in their own right. Needless to say we walked goodly distance today. 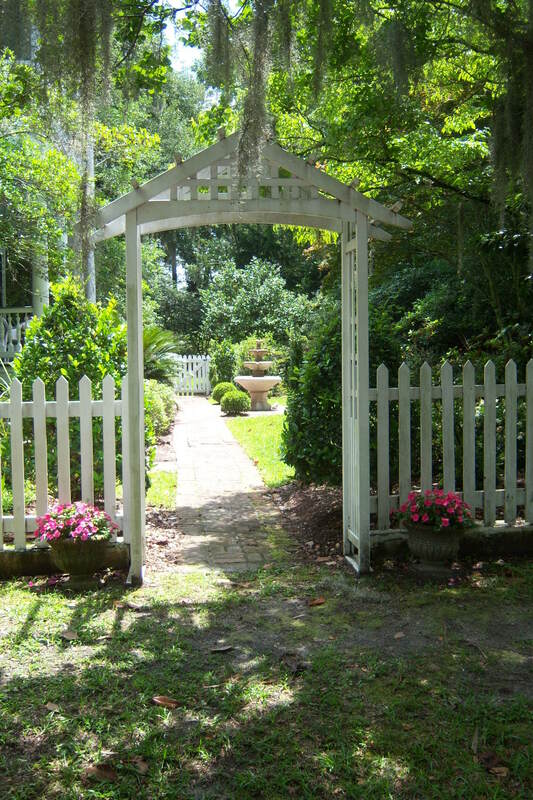 Photos from “walking tour of homes” in Summerville. 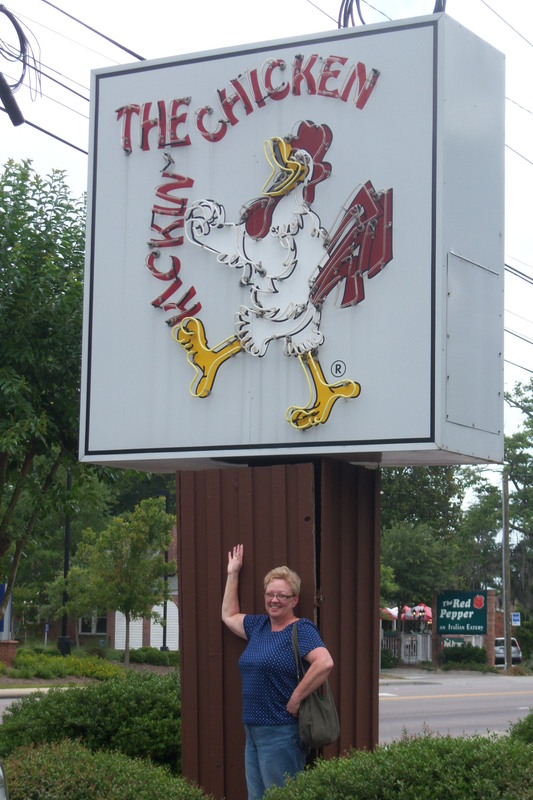 After finishing the walking tour we ate at the Kickin’ Chicken. 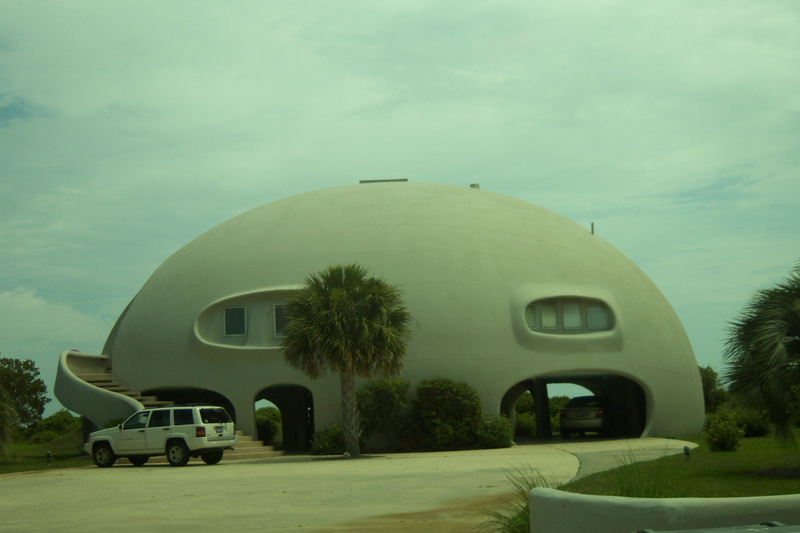 We saw it when we drove in to Summerville and after a few jokes we made about it and the name we decided to check it out. Again, the luck of the draw and we chose well. While driving in to the tea plantation we saw an interesting church and cemetery and decided to stop and take a few pictures. I turned on what I thought was the road into the church parking lot but was actually a dirt road. Keith had suggested going to see the Angel Oak but we hadn’t planned to see it today. Just as I was about to turn around Janet saw a sign partly covered with leaves and almost unreadable. 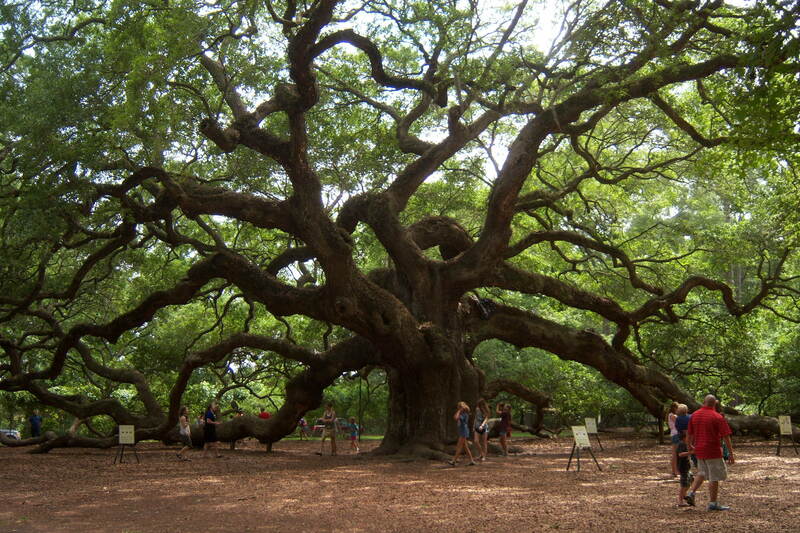 It said, “Angel Oak 0.3 miles”… We had stumbled upon the Angel Oak!!! We couldn’t believe our luck. We had to go see… The Angel Oak Tree is estimated to be in excess of 1500 years old, stands 66.5 ft (20 m) tall, measures 28 ft (8.5 m) in circumference, and produces shade that covers 17,200 square feet (1,600 m2). 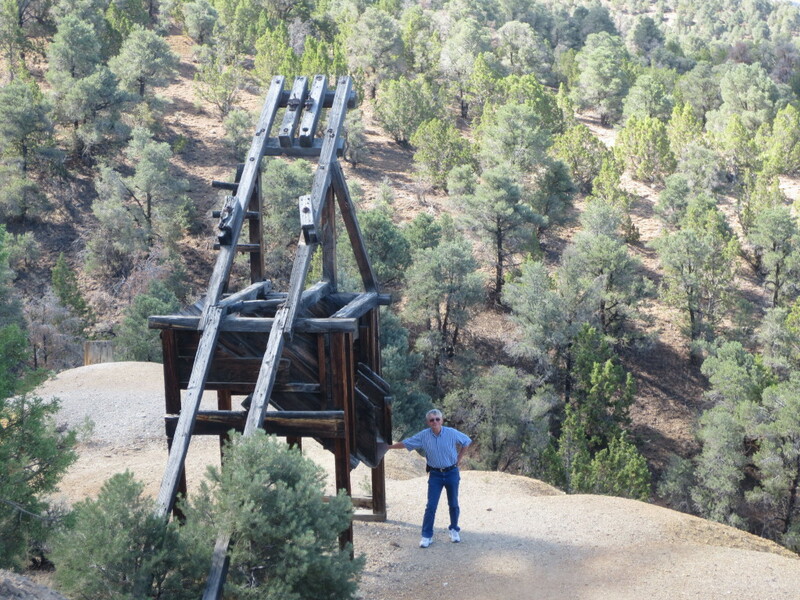 From tip to tip Its longest branch distance is 187 ft. It was an impressive sight and another photo opt for Hailey and Erin. On our way out from the Angel Oak we stopped at the church and cemetery and looked at the many old graves and of course took many pictures of the church and cemetery. From there it was home to Keith’s and the end to another full day. Today Hailey had to go back to school so we missed our traveling/touring buddy. Keith had taken the day off so he chauffeured us around. So today our group was Keith, Bobbie, Erin, Janet and me. We headed across the Arthur Ravenel Jr. Bridge, also known as the New Cooper River Bridge. It is a cable-stayed bridge over the Cooper River in South Carolina, connecting downtown Charleston to Mount Pleasant. 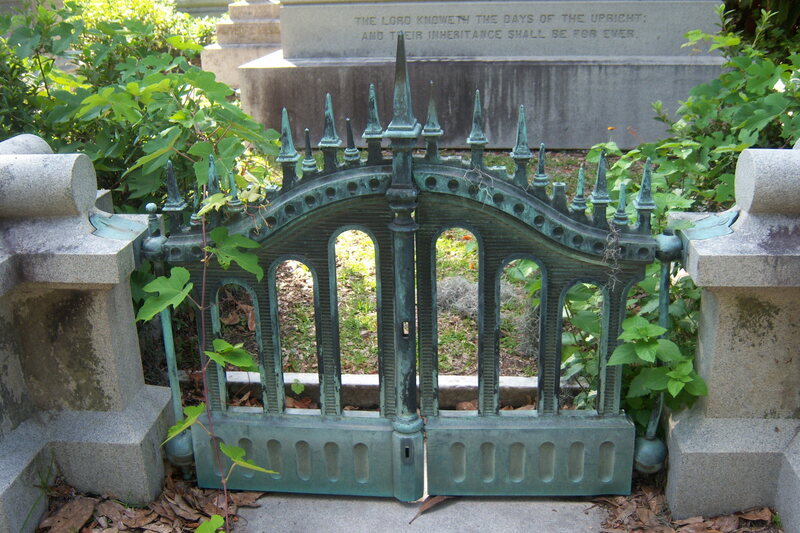 Keith mentioned two old cemeteries. 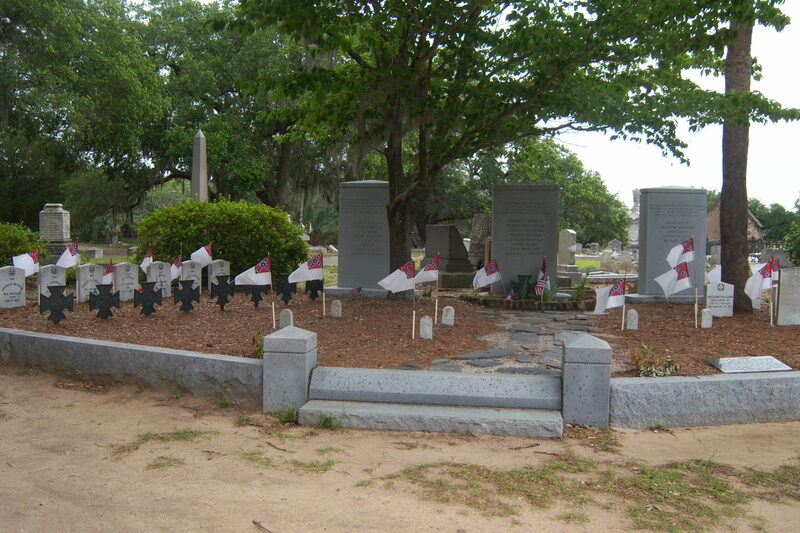 One was “White Points Garden” the resting place of the Hunley Submarine Crews. Keith, like his daughter Hailey and his sister Erin is a photographer and old cemeteries always offer good subject matter particularly in the south. 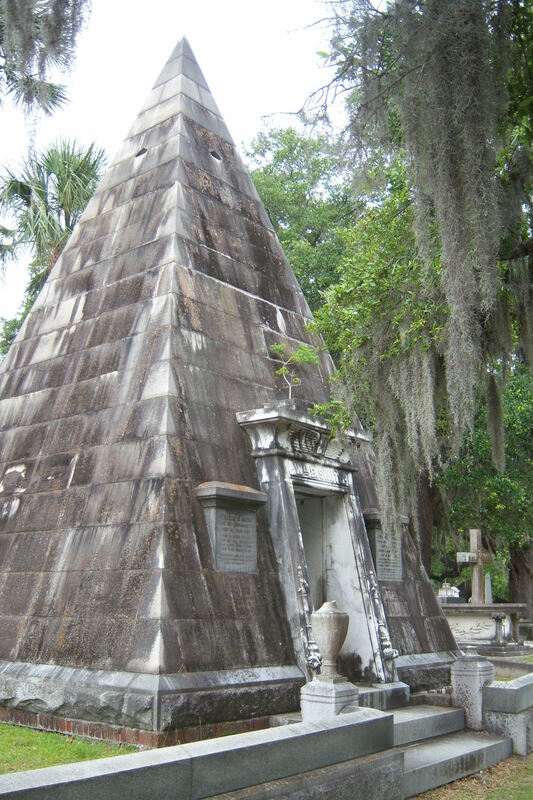 They all have large mainly Live Oak trees covered in Spanish Moss and large monuments and head stones as well as interesting crypts. White Points Garden had several large interesting crypts. 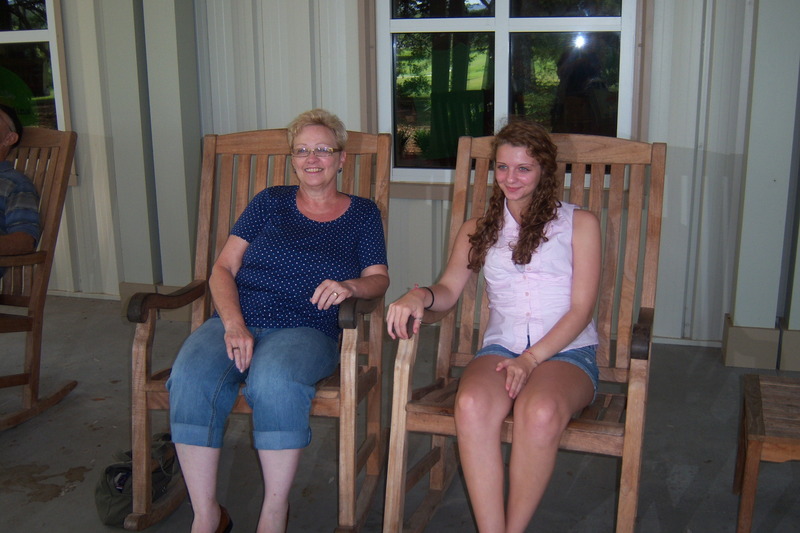 We spent awhile walking the grounds and taking pictures. Afterward we had lunch at a Mexican restaurant in the same shopping center as the antique malls where we took our time looking and buying. I think we all found some little something there. Keith then drove us around Sullivan’s Island looking at some of the nice beach homes and the light house. As light houses go I would have to say it was the most ugly I have seen. Completely unlike any I’ve seen. 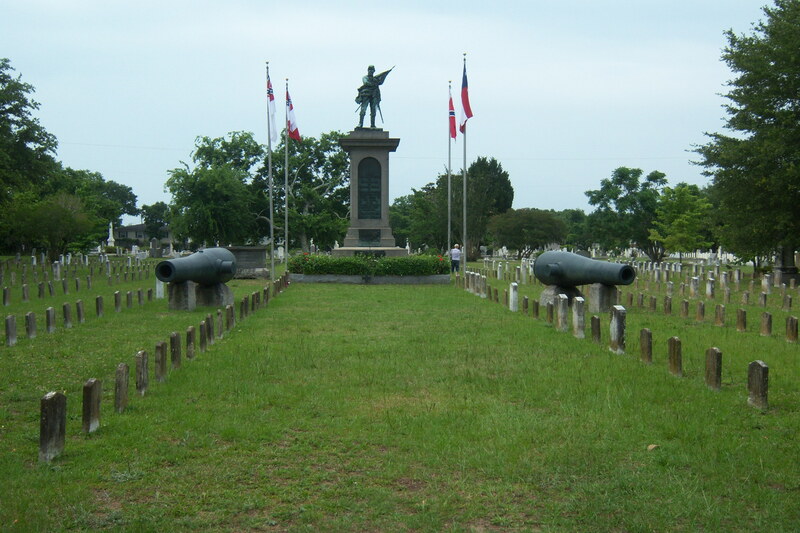 Then it was on to Fort Moultrie. 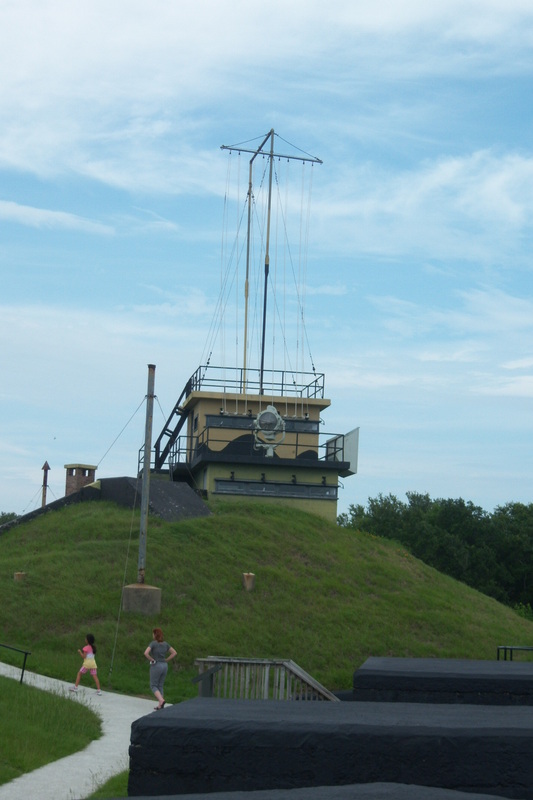 Fort Moultrie has been restored to portray the major periods of its history. A visitor to the fort moves steadily backwards in time from the World War II Harbor Entrance Control Post to the site of the Palmetto-log fort of 1776. 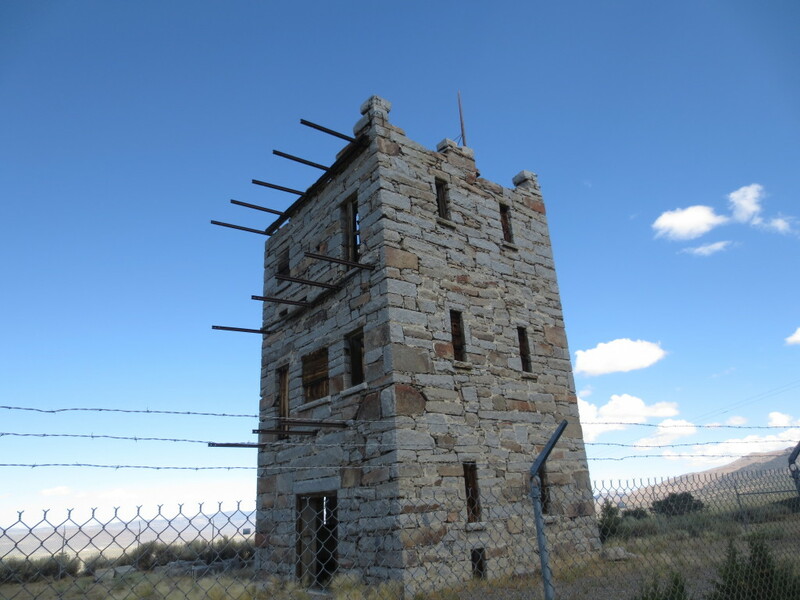 I love touring old forts and this is a good one. 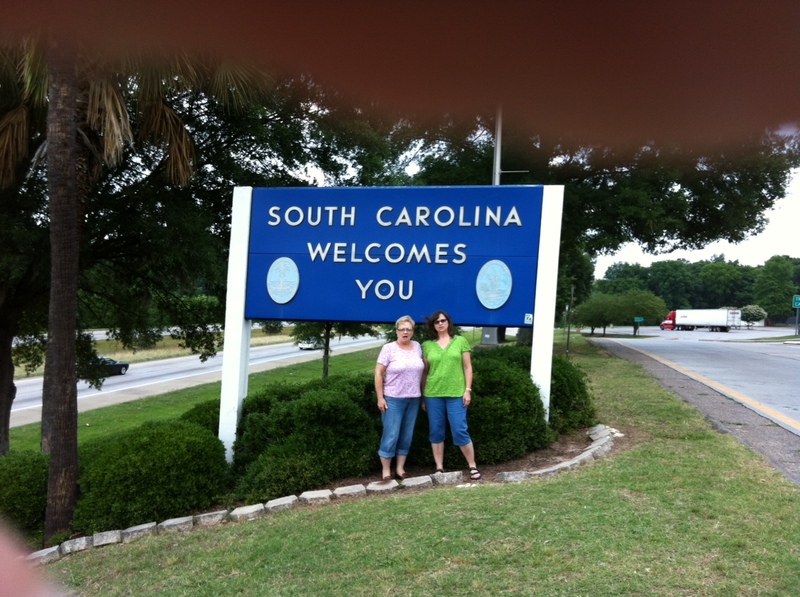 We (Bobbie, Erin, Janet and Myself) headed 90 miles south to Savannah, Georgia. This was the 3rd time Janet and I have been here and since we only had the day we tried to show Bobbie and Erin the highlights. 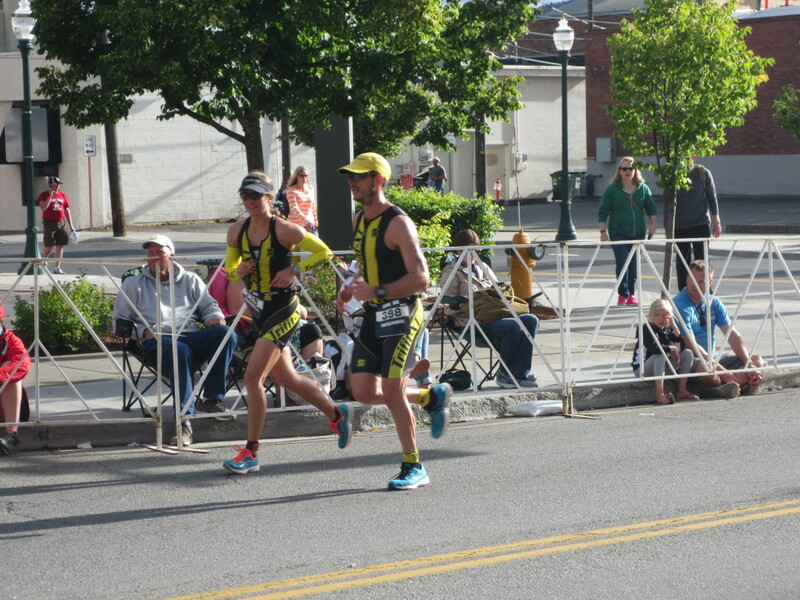 A two hour drive there and back didn’t give us a lot of time but we did get a lot in. The first stop was the visitors center to get maps and brochures. 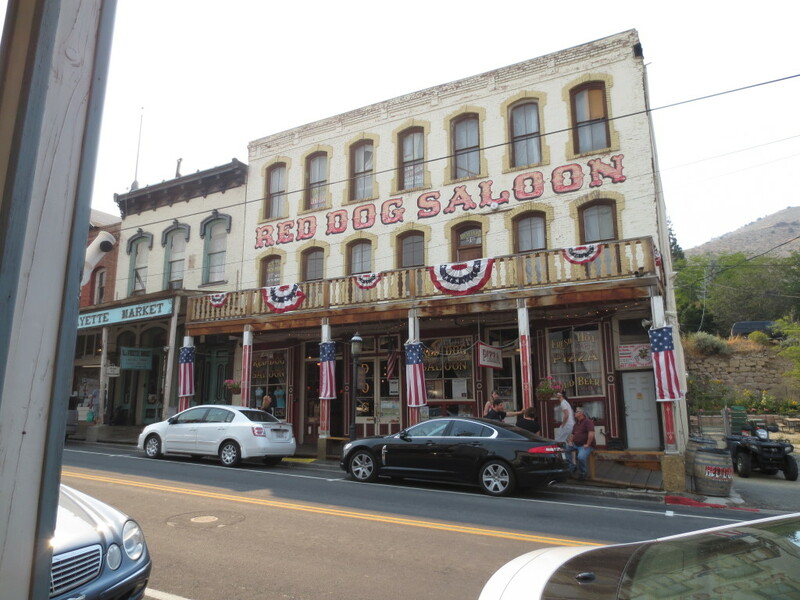 Then it was off to the historic district. 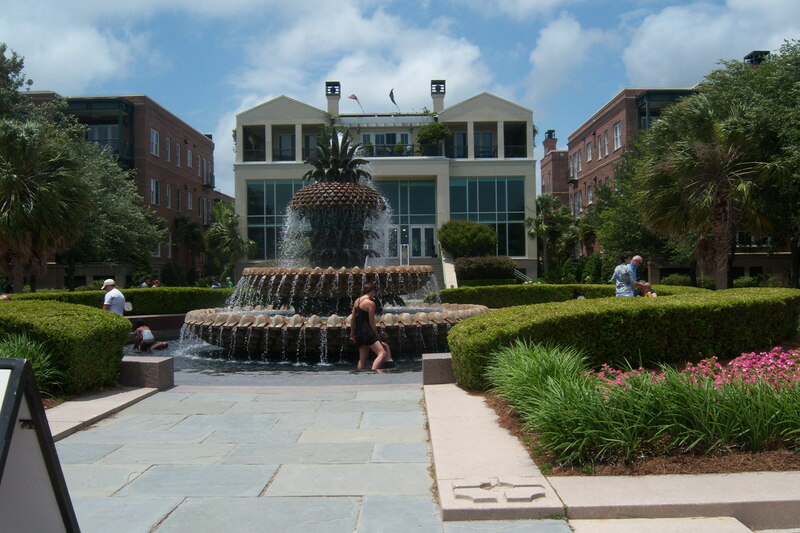 We parked and walked to down to River Street to eat at the Cotton Exchange. Janet and I have eaten here before and we knew the food was good. After lunch we walked down the street to the statue of the Waving Girl. 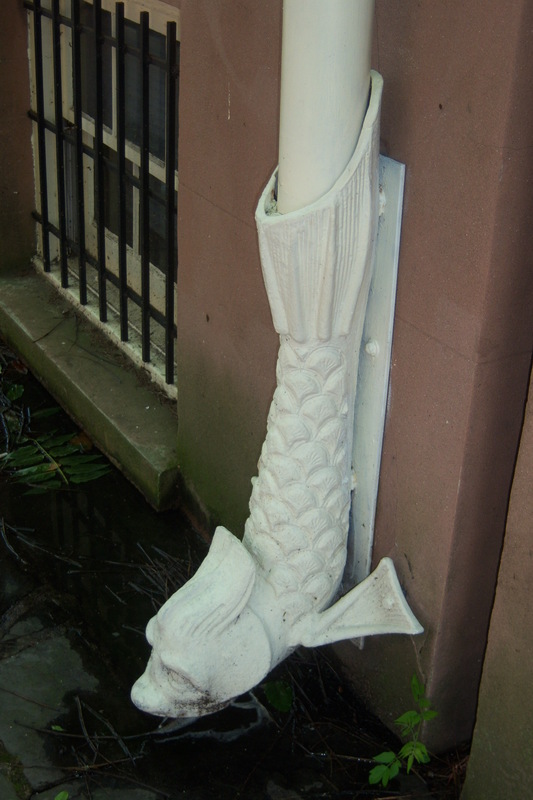 One of Savannah’s favorite stories involves the life of Florence Martus (1868 – 1943), who was known well by Savannahians and sailors of the sea as the Waving Girl. Florence developed a close affinity with the passing ships and welcomed each one with a wave of her handkerchief. Sailors began returning her greeting by waving back or with a blast of the ship’s horn. We then stopped at several of the shops. Today we were not so lucky with the weather. 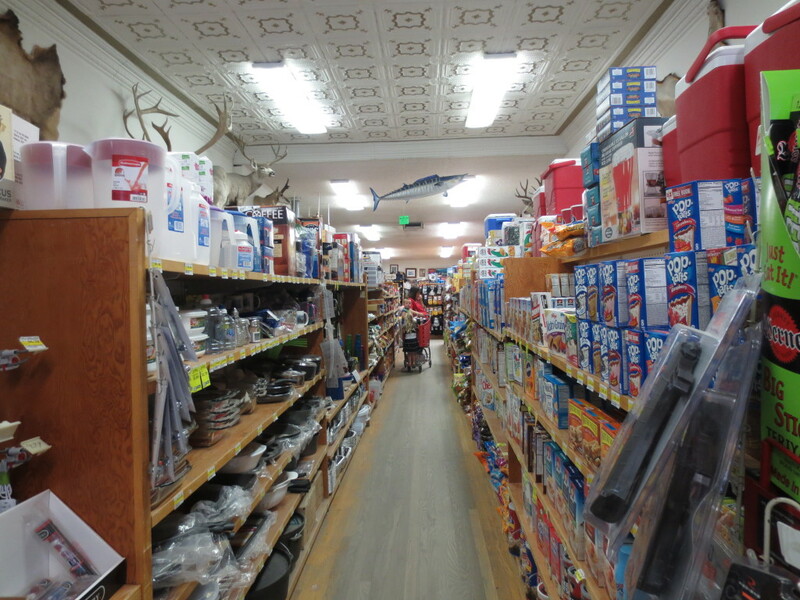 It was hot and humid and so we headed to the City Market and got ICE CREAM and recharged. Next it was to walk some of the squares. During most of the development of the city, the squares were used for communal activities, such as gathering water, baking bread, celebrating holidays and victories and many more activities. They were also used as stock yards and gathering places for those from outside the city for protection in time of attack. 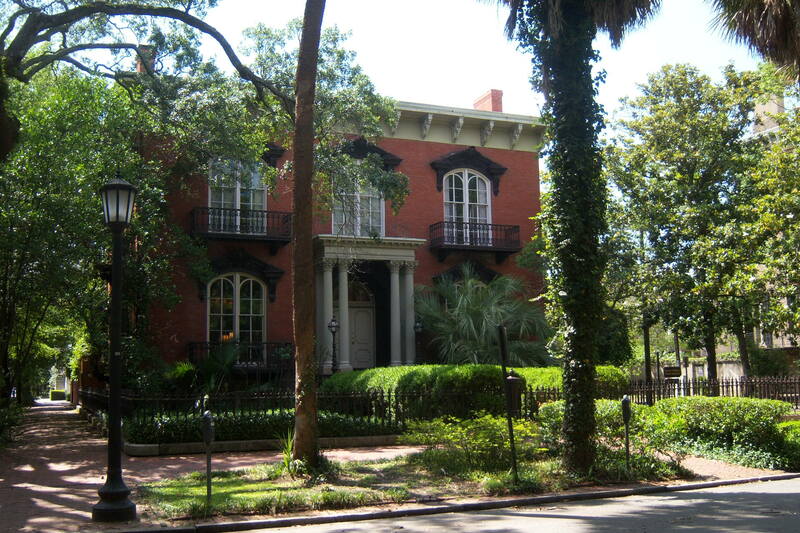 Now most of Savannah’s squares are named in honor or in memory of a person, persons or historical event, and many contain monuments, markers, memorials, statues, plaques, and other tributes. 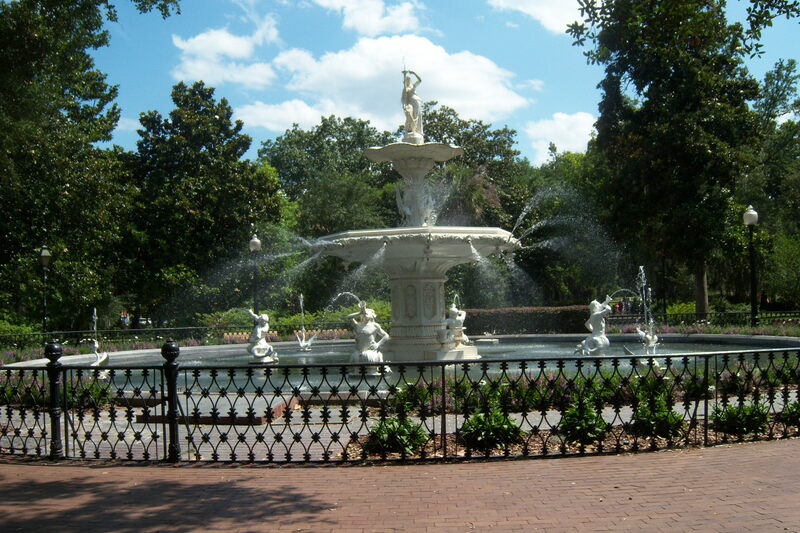 Janet and my favorite square is Forsyth Park Fountain so we headed there and took in all the squares along the way. By then it was hot and we were getting tired so we headed back to the car stopping only for water and picture taking of some of the houses and gardens. 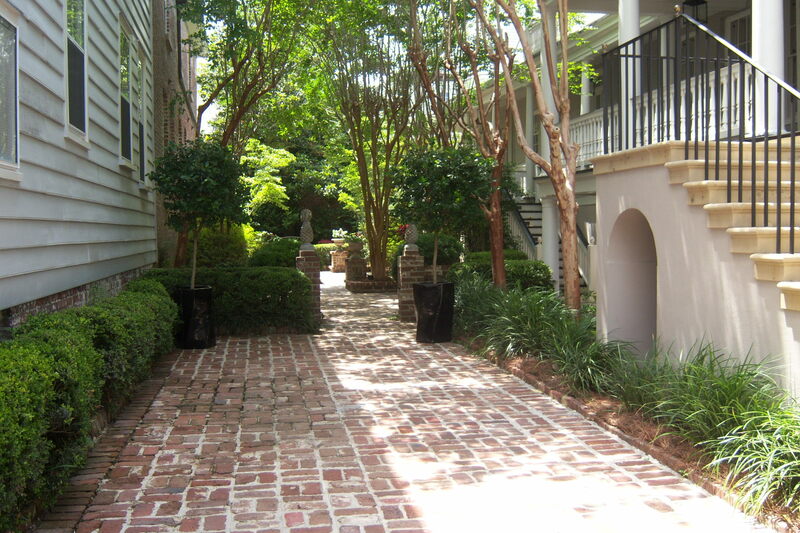 The best time to see Savannah is in the spring when it is cool and all the flowers are blooming. 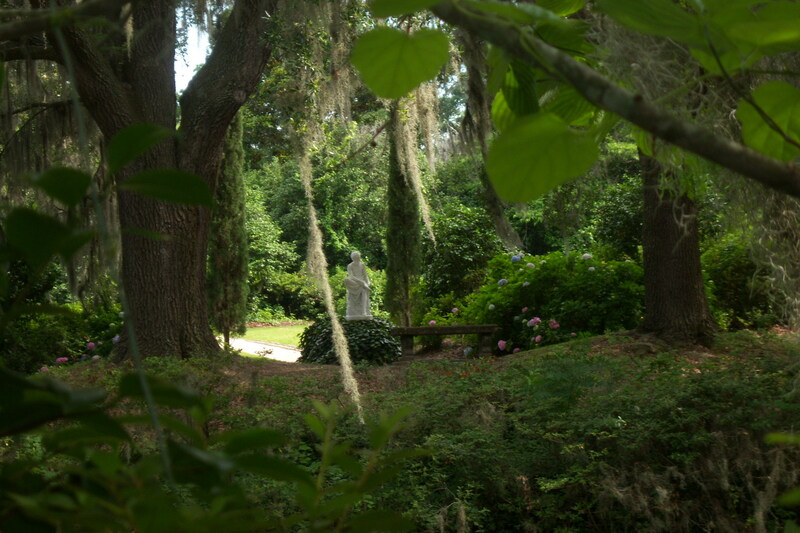 Before heading back home to Keith’s we drove to Bonaventure Cemetery. 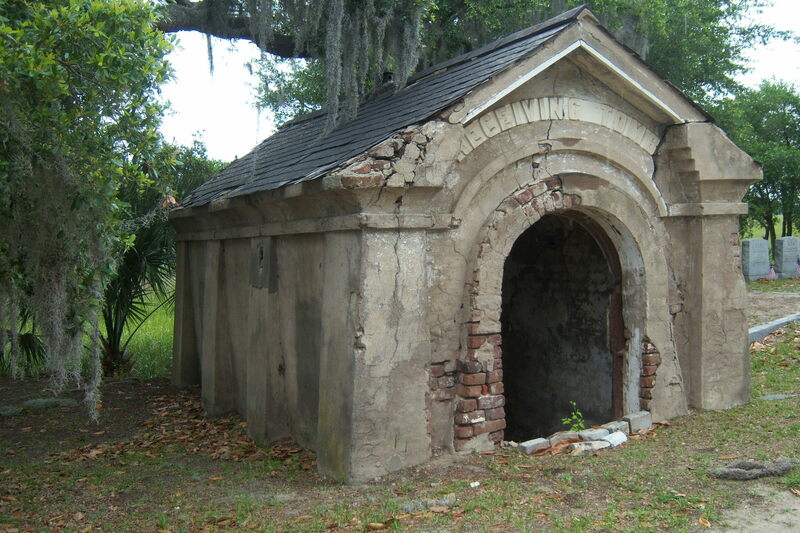 Though not Savannah’s oldest cemetery, Bonaventure is certainly its most famous and hauntingly beautiful. 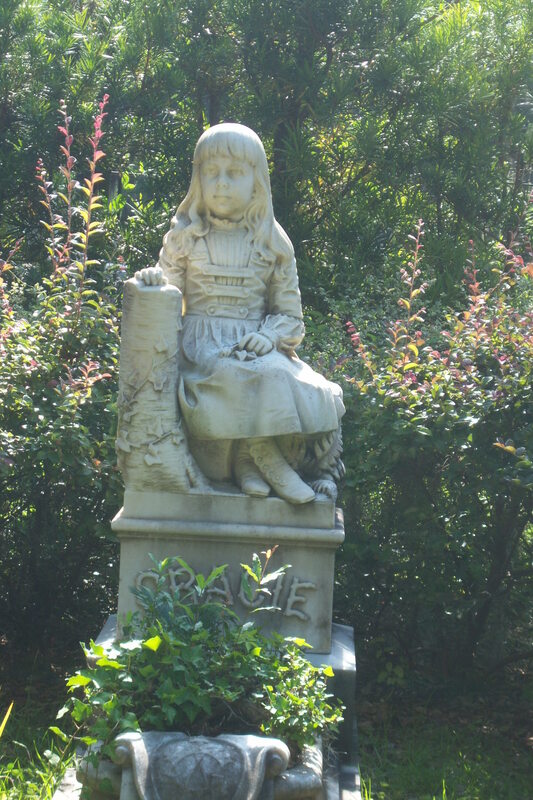 Another reason behind Bonaventure’s popularity is John Berendt’s book, Midnight in the Garden of Good and Evil, which featured a cover photo of the now-famous “Bird Girl” statue, formerly located in Bonaventure. 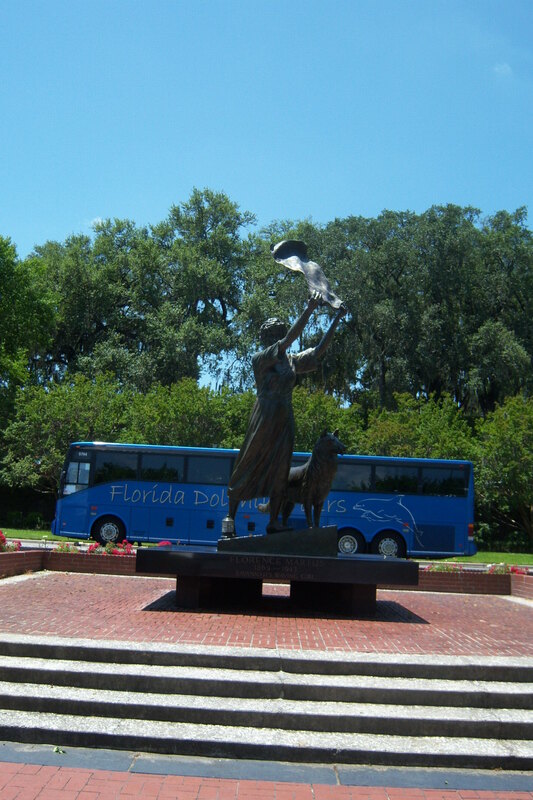 The statue has since been moved to the Telfair Museum of Art. 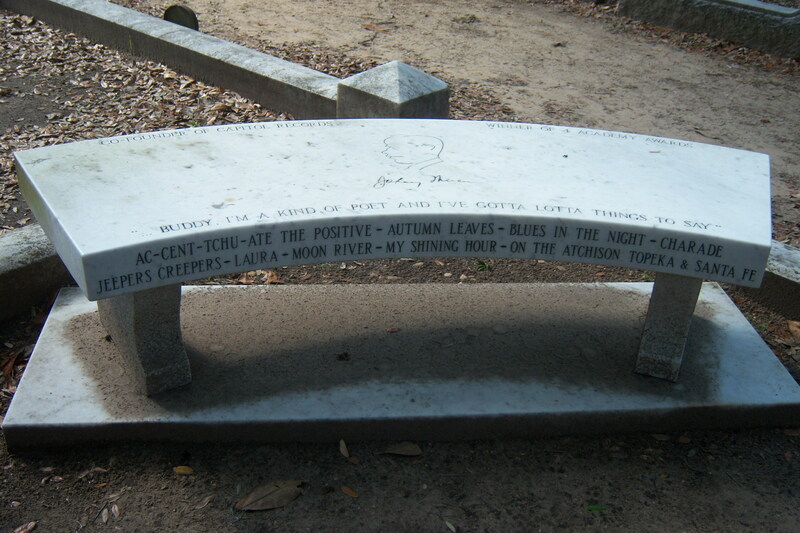 It is also the resting place of Johnny Mercer the composer. Again, Erin had many photo opts. We would have stayed longer but the cemetery was closing and it was getting late and we still had a two hour drive home. Today Erin left for home. 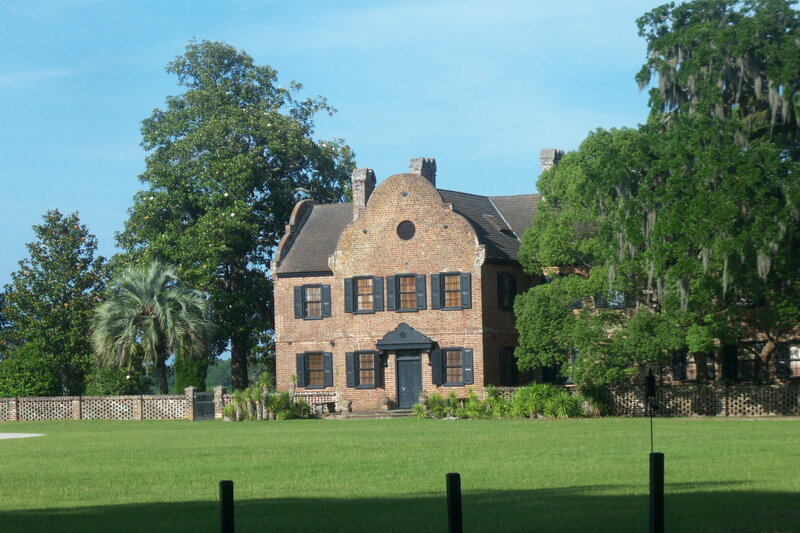 After Keith returned from taking Erin to the airport we all (Keith, Hailey, Bobbie, Janet and myself) drove out to the Middleton Plantation. 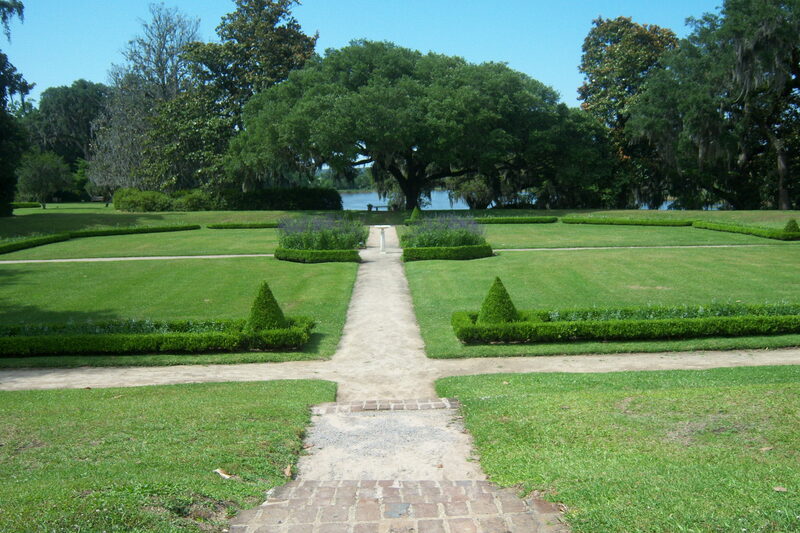 Middleton Place is a National Historic Landmark and home to America’s Oldest Landscaped Gardens. 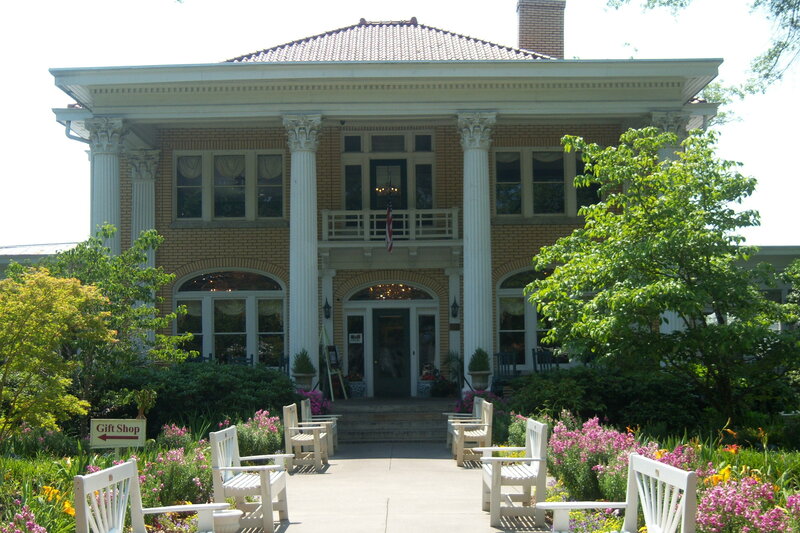 Built in 1755, the House Museum interprets four generations of Middleton Family, with extraordinary family furniture, silver, porcelain, rare books and portraits on display. 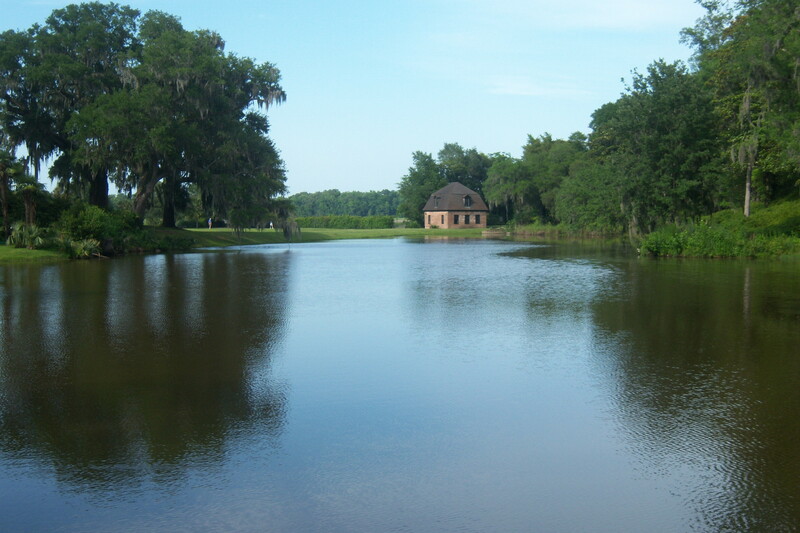 Birthplace of a signer of the Declaration of Independence, Middleton Place and the Middleton’s have played an important role in American history. The property has miraculously remained under the same family stewardship for some 320 years, and today, successfully preserves history for visitors to enjoy. We first took the guided tour of the house which filled us in on the history of the plantation and the Middleton family. We then walked the grounds of the immense gardens. 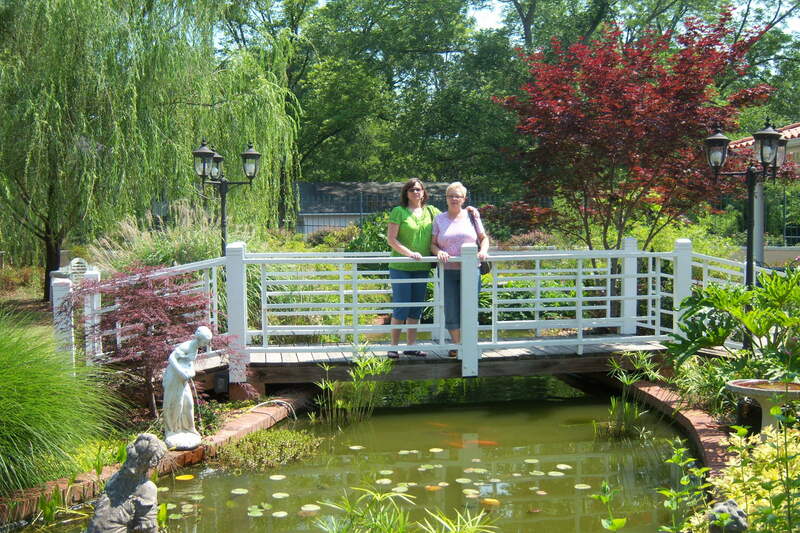 Keith and Hailey were having a great time photographing all the different aspects of the gardens. 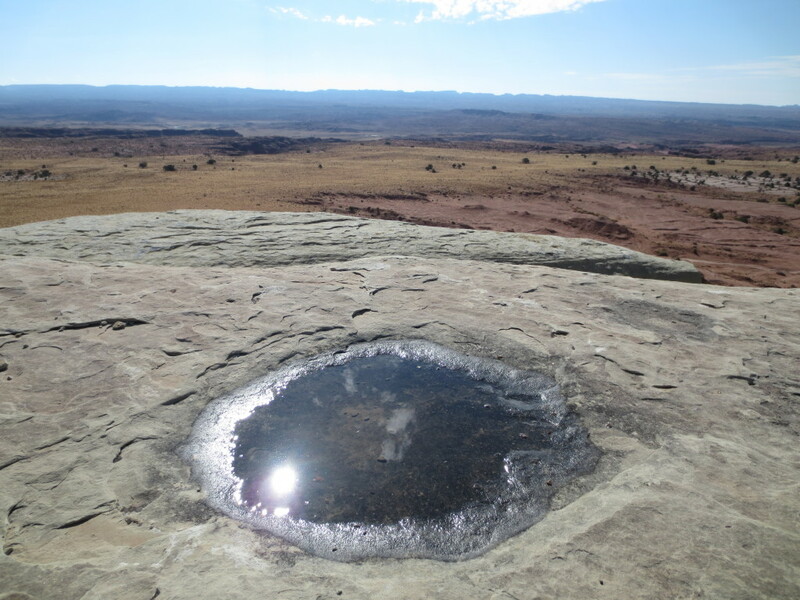 There was so much to see and photograph. 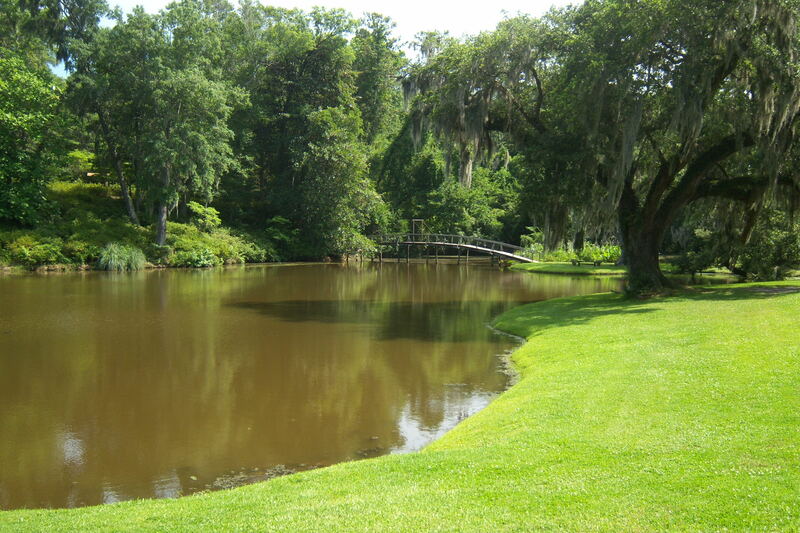 The Gardens have been planned so that there is something blooming at Middleton Place year-round. Words can’t really do justice to the gardens and photos can capture only a small part of its beauty. 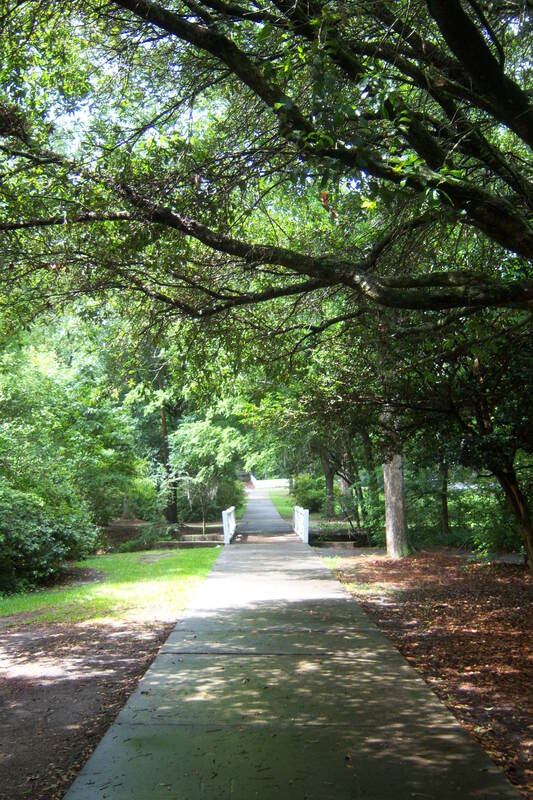 This was Keith’s first visit to Middleton Plantation and of all the Plantations he has been to this was his favorite, mainly for the amount of photo subject matter. 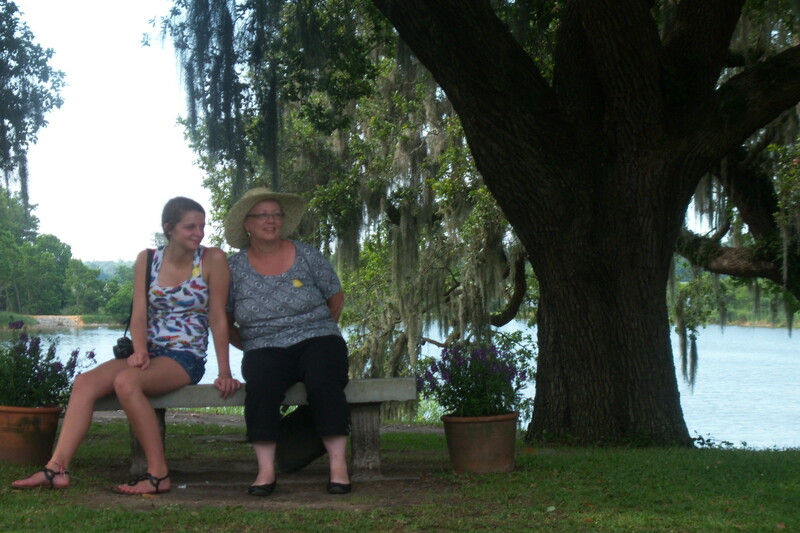 Middleton Place was a great way to end our stay in Charleston. We are heading back home today. We got an early start so we could put as many miles as possible behind us today so we would have an easy travel day tomorrow. 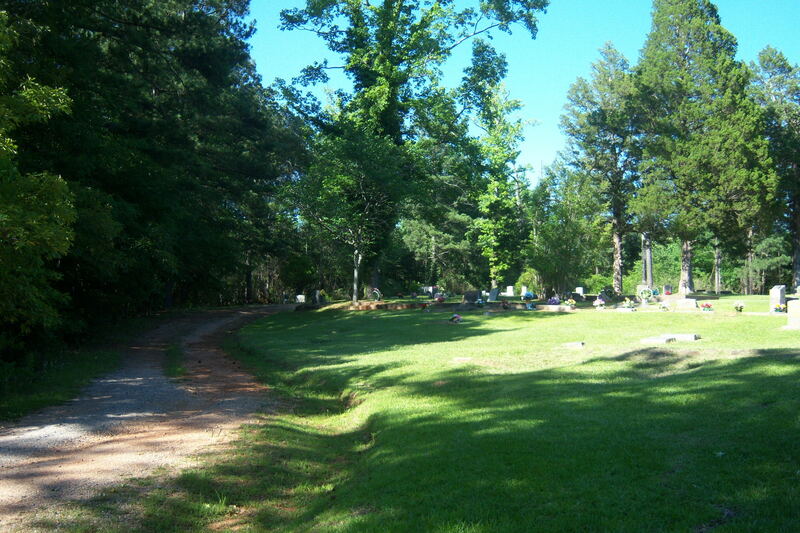 The only planned stop today was a cemetery in Irondale, Alabama. I know by now y’all think we are obsessed with cemeteries but the reason for this stop was family history research for Bobbie. Janet and Bobbie’s family are related to the Gore’s… Yes, somewhere down the line they are related to Al the vice president. 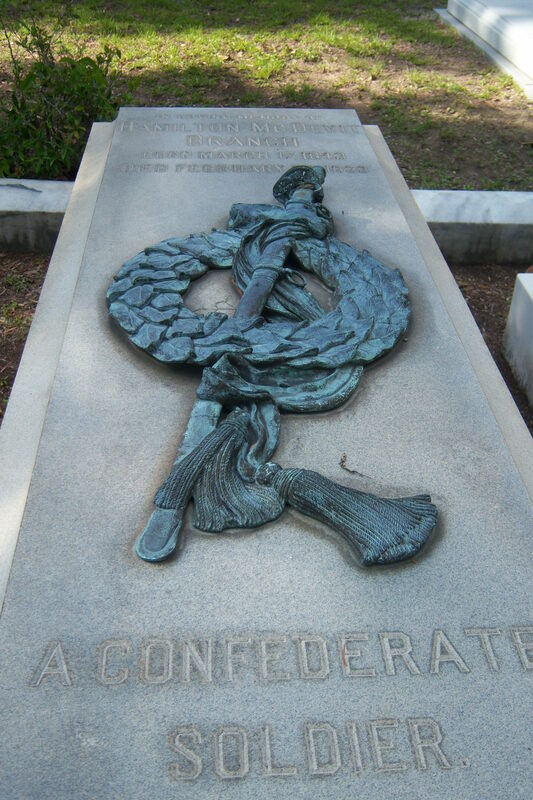 I’m not to sure if they want to claim him though… but anyway there are a number of Gore’s buried in Irondale. Before we got to Atlanta someone noticed a sign about a museum about Margaret Mitchell the author of “Gone with the Wind” so… we decided, or should I say they decided, we had to stop. 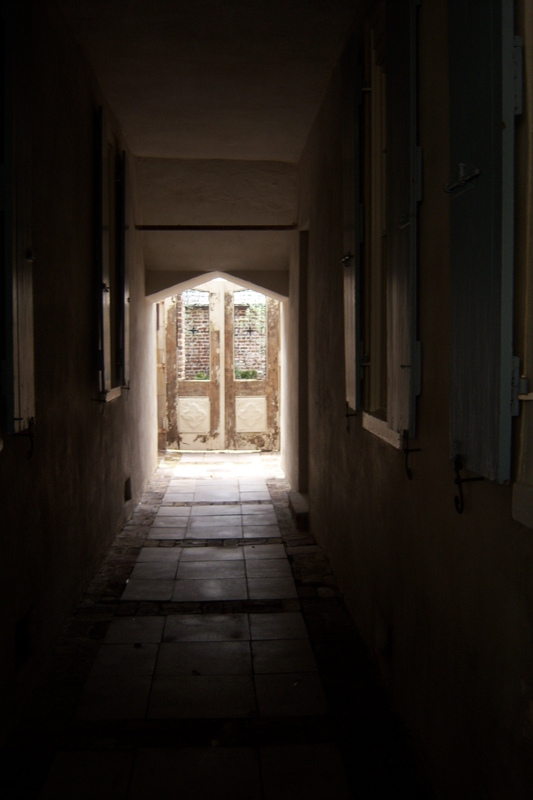 The museum is located in a house where Margaret rented an apartment. 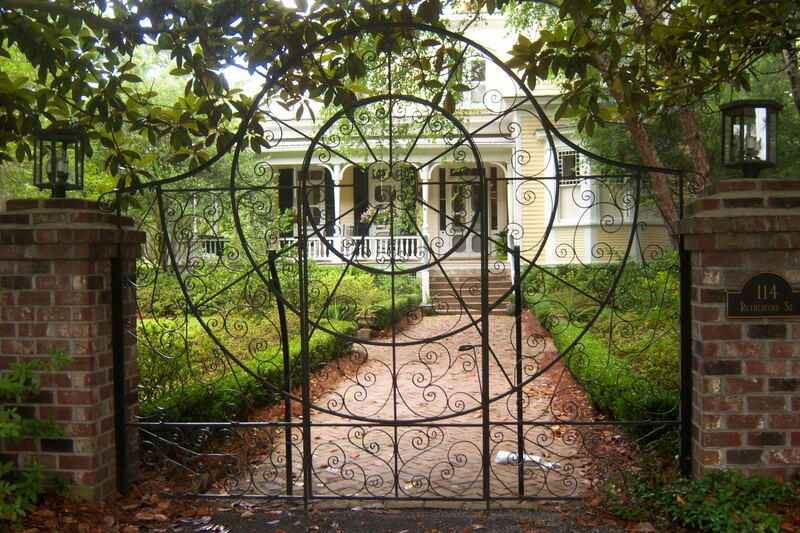 She wrote “Gone with the Wind” while living there. 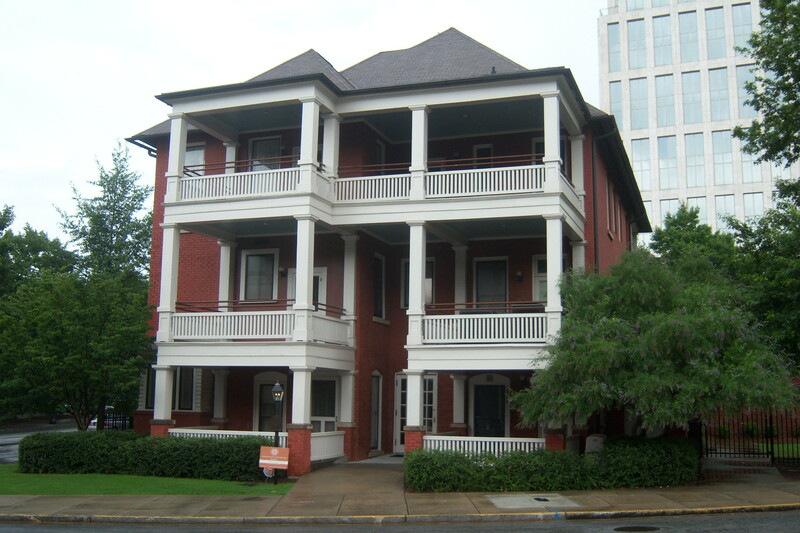 It was an interesting tour of the apartment as well as an exhibition showcasing the life and times of one of America’s most famous authors. It was a fun and interesting stop but it did take up a bit of our travel time and we still had to stop at the cemetery… Oh well we will get as far as we can today. We didn’t have much information about the cemetery in Irondale so last night we got on google maps to see if we could find it. We had the name of the road the cemetery was off of and the name of a crossing street near by but that was it. We were actually able to find the cemetery using the satellite image. There was no doubt it was a cemetery because you could see the head stones in the satellite image. I plugged into the GPS an approximate address for the cemetery and we drove to it but it was nowhere close so we kept driving until we recognized some of the cross street names and we knew we had driven past it when we recognized some of the buildings from the satellite image. 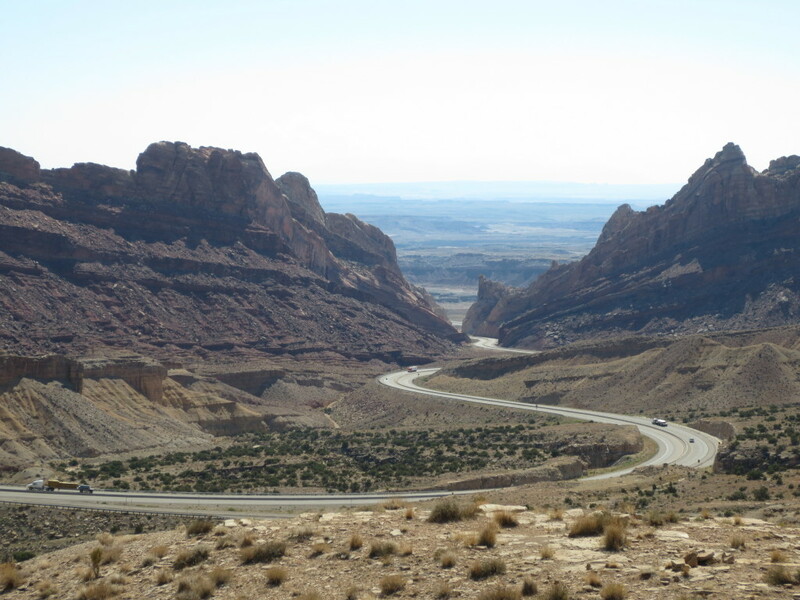 We turned around to go back to a dirt road we had passed and sure enough that was the road. Janet could see the head stones in the distance. 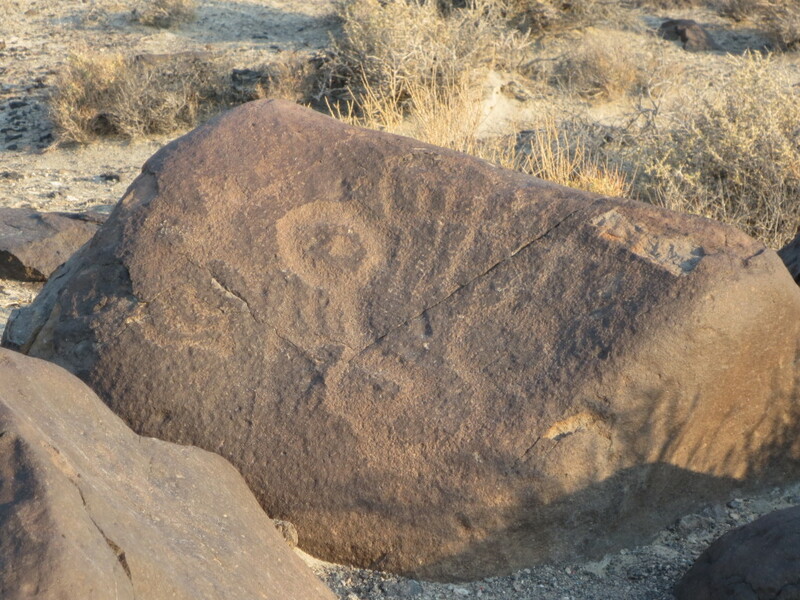 After searching (thank goodness it was not a large cemetery) a bit we found what we were looking for. Bobbie took a bunch of pictures for her documentation. Just next to all the Gore’s were a number of Sims’… They could have been relatives from my side of the family… Who knows… We may have to check that out. Anyway we were back on the road. 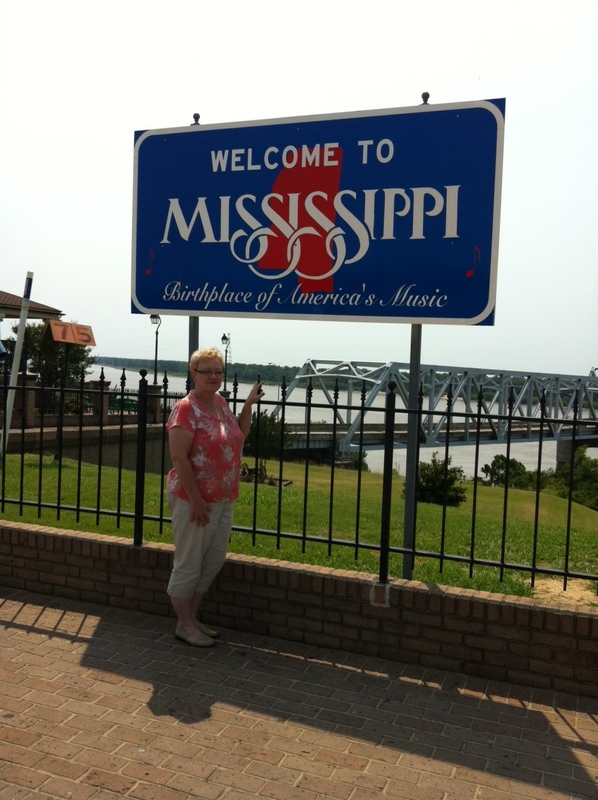 I was hoping to make it as far as Meridian, Mississippi and we did. We were all hungry and it was a good stopping place so we decided to call it a day. Just another day on the road. 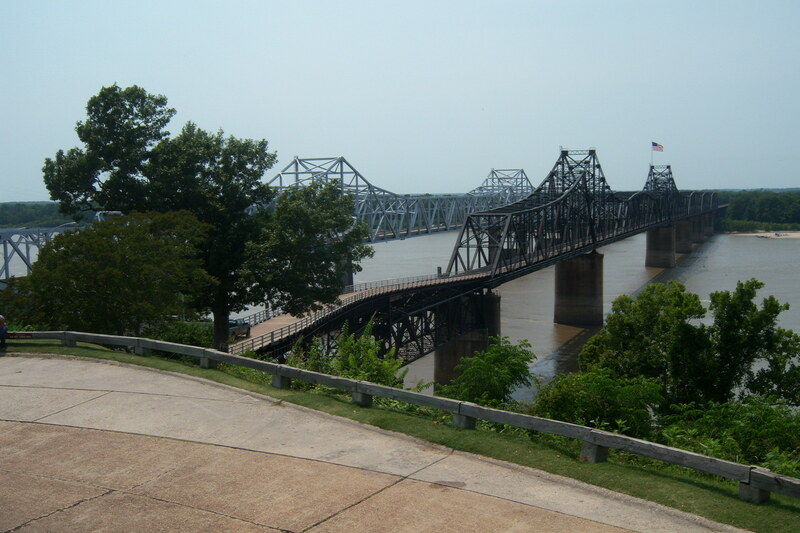 The only stops were for food, gas, pit stops and the Libbey glass factory in Shreveport, Louisiana. Janet wanted to stop and see if she could find a few deals on some glassware… She did… of course… We got Bobbie home about fivish… I think and then it was on home. We got home about 9:30 PM. A long day of driving. 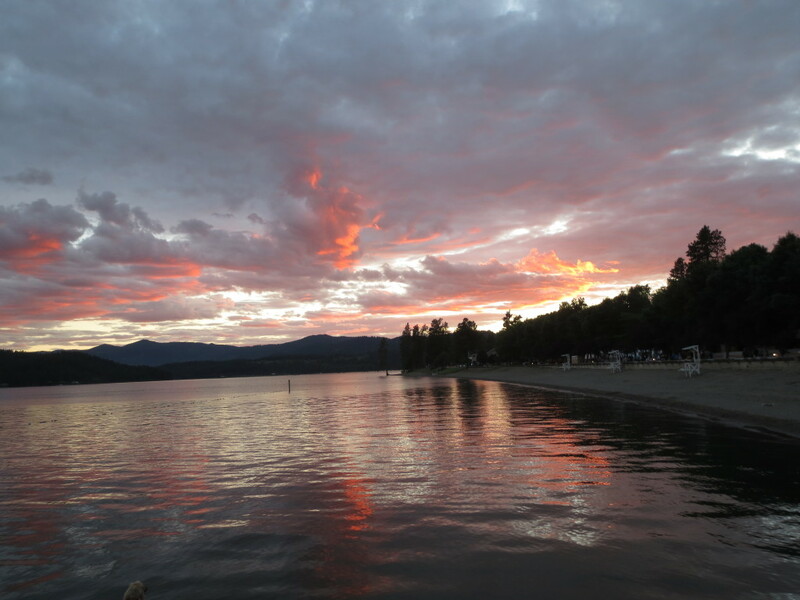 From time to time I will be adding post about our other travels here. 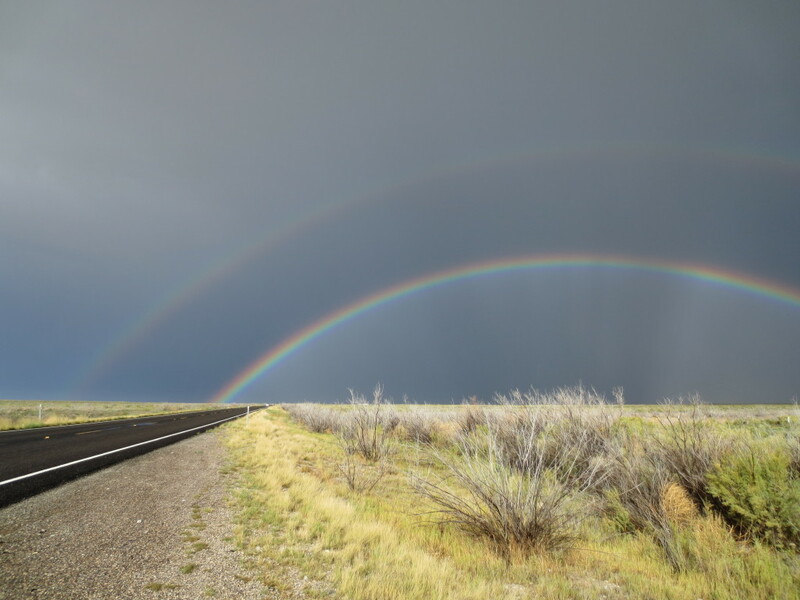 I would love to always travel by bike but Janet and other situations don’t always permit doing them on two wheels… but where we go and what we do can most always be adapted to bike touring. So keep checking back here.